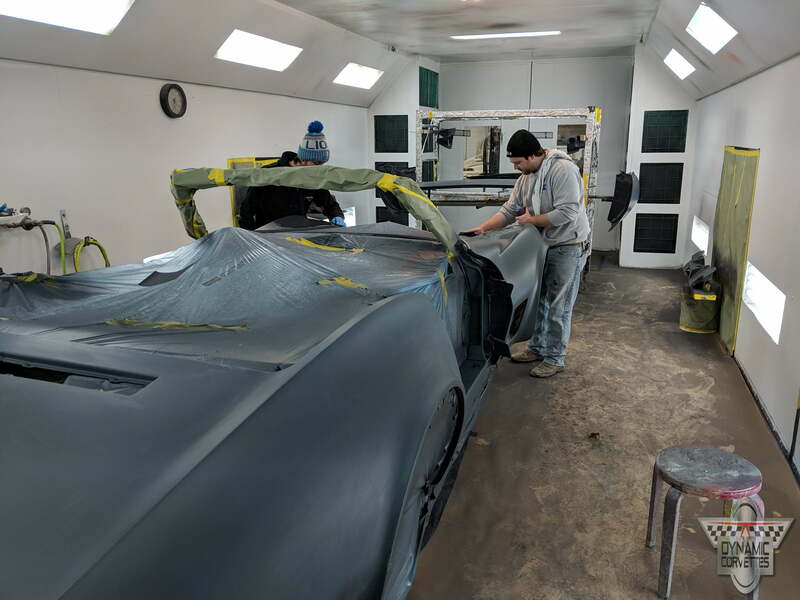 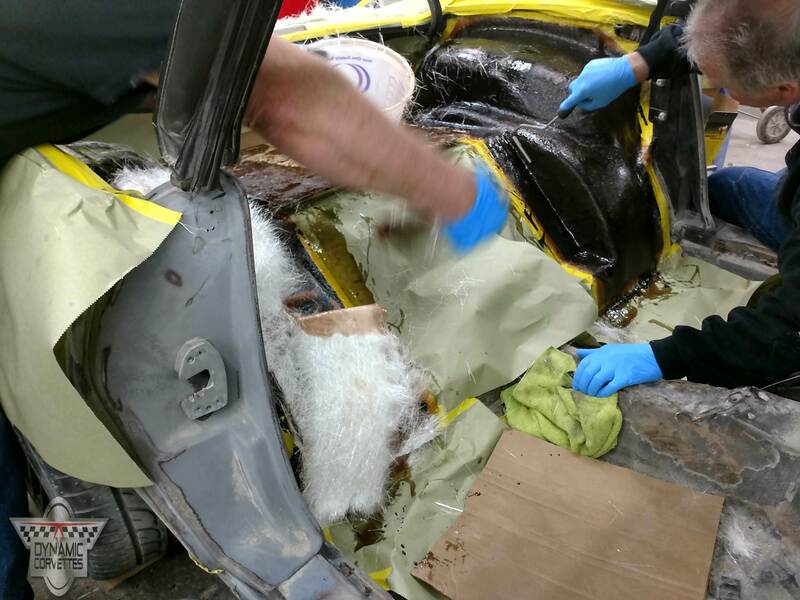 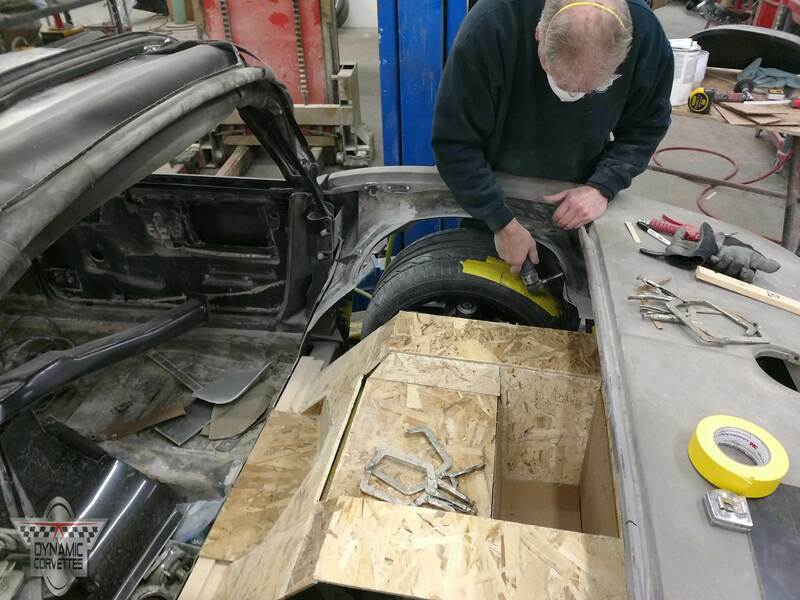 This a 64 Convertible, we’ve designed and tooled a new firewall and inner fenders to slick out the engine compartment. 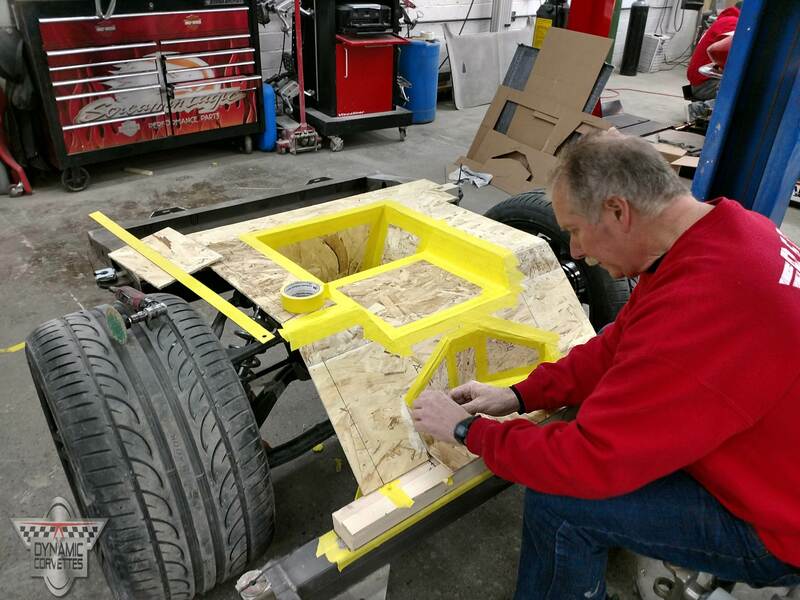 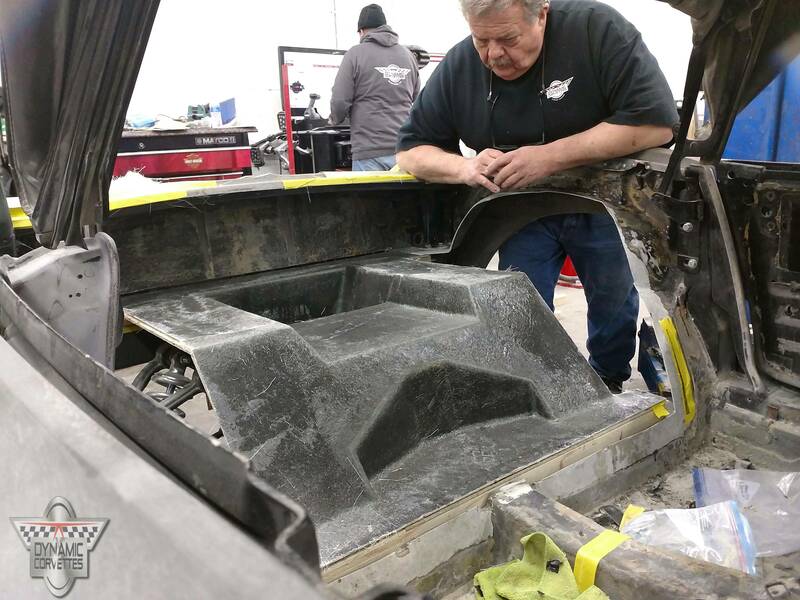 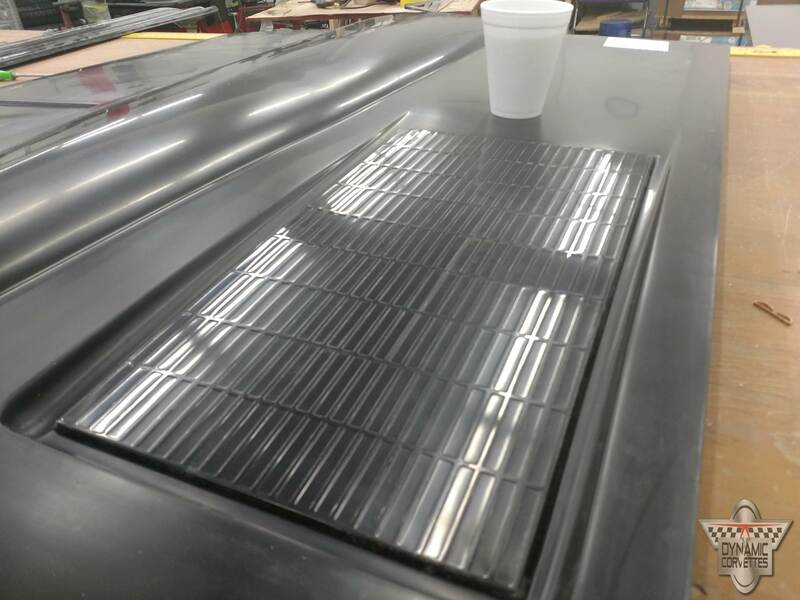 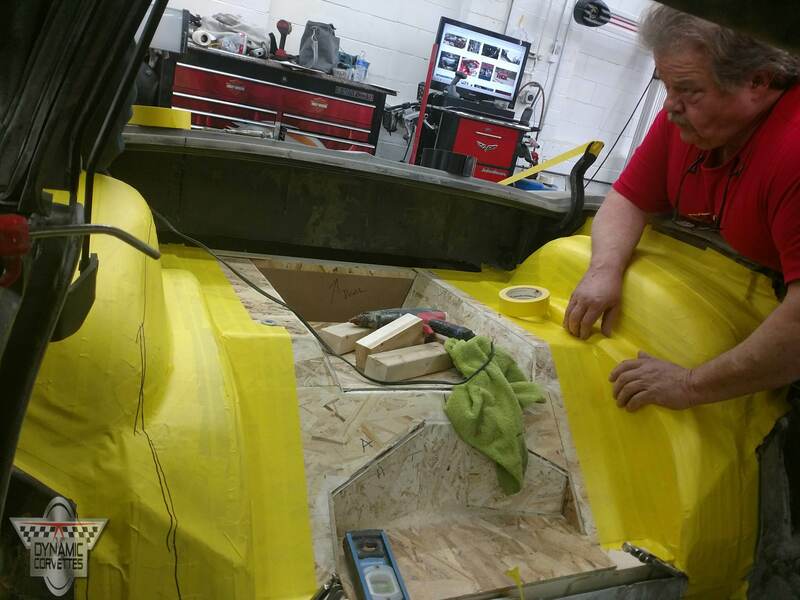 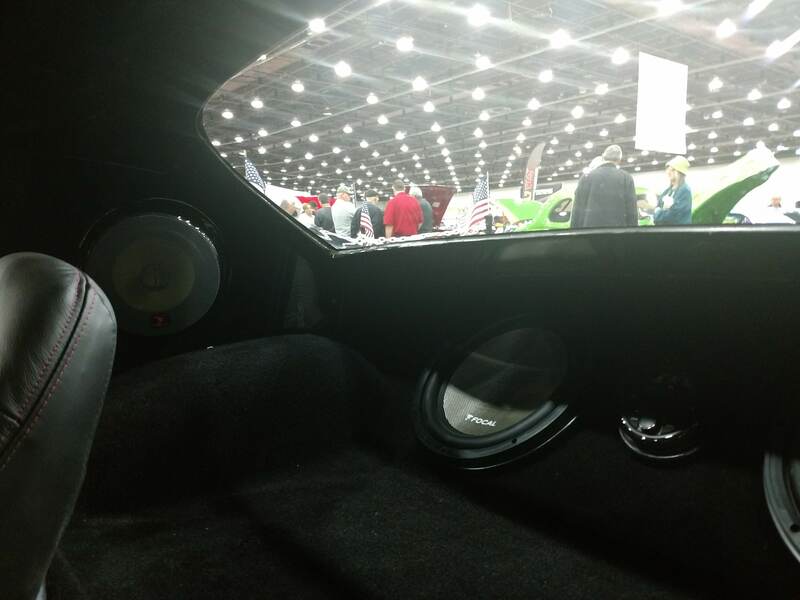 Now we’re designing the rear floor with a compartment for storage or a cooler or a battery…. 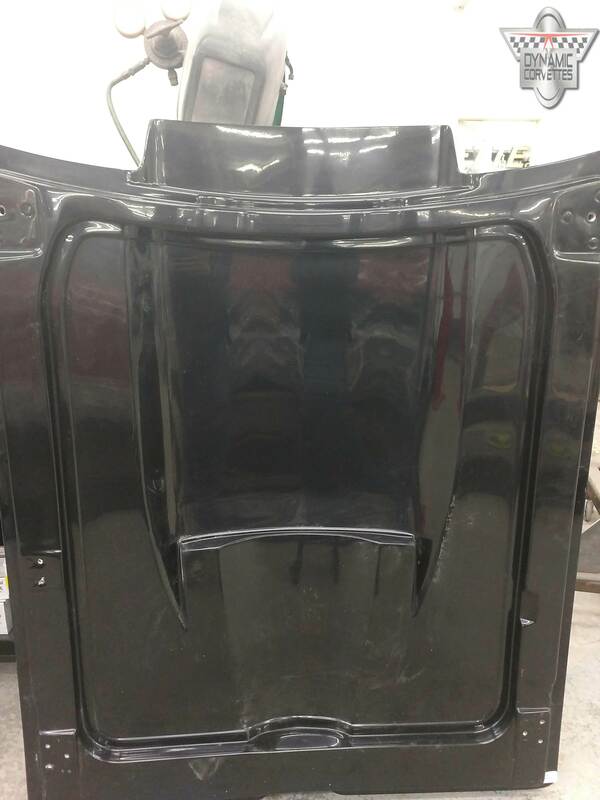 we haven’t decided what to use it for yet but we know extra room to hide things are great! 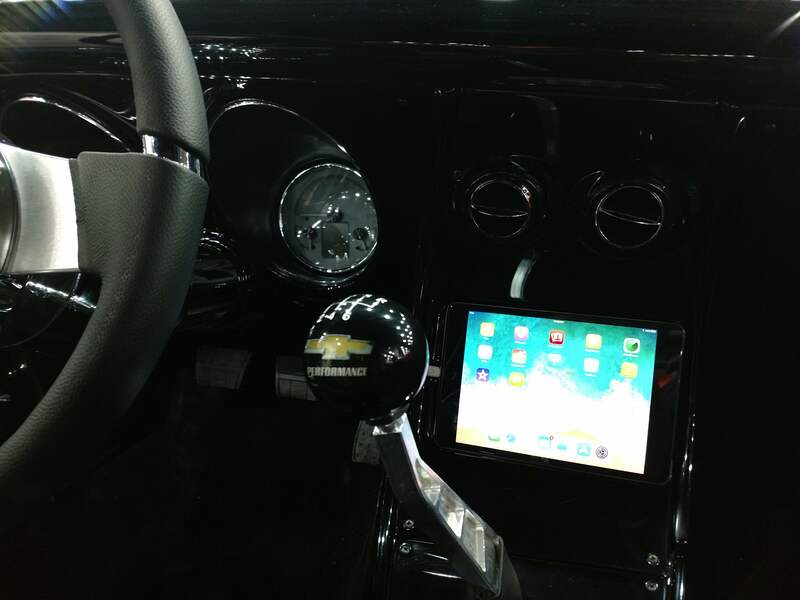 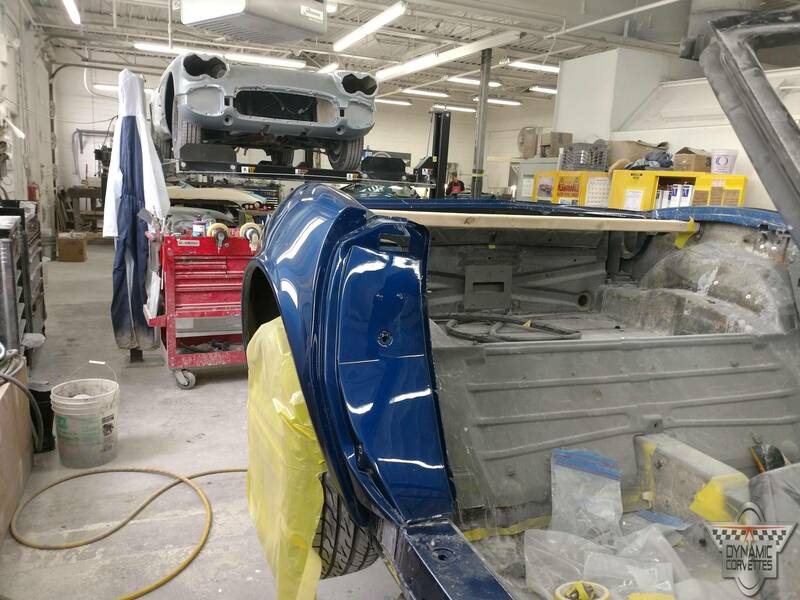 And don’t worry we’ll have plenty of space for the convertible top too. 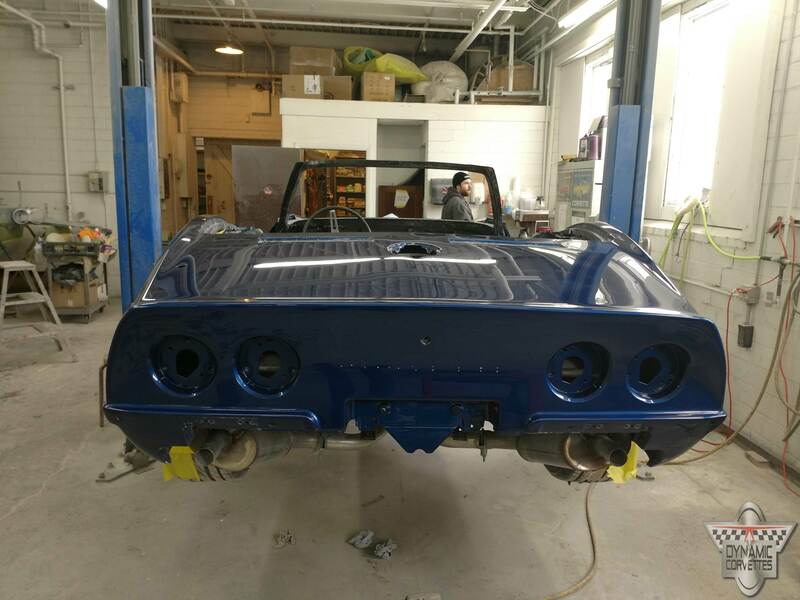 Our 69 RestOmod is moving along nicely. 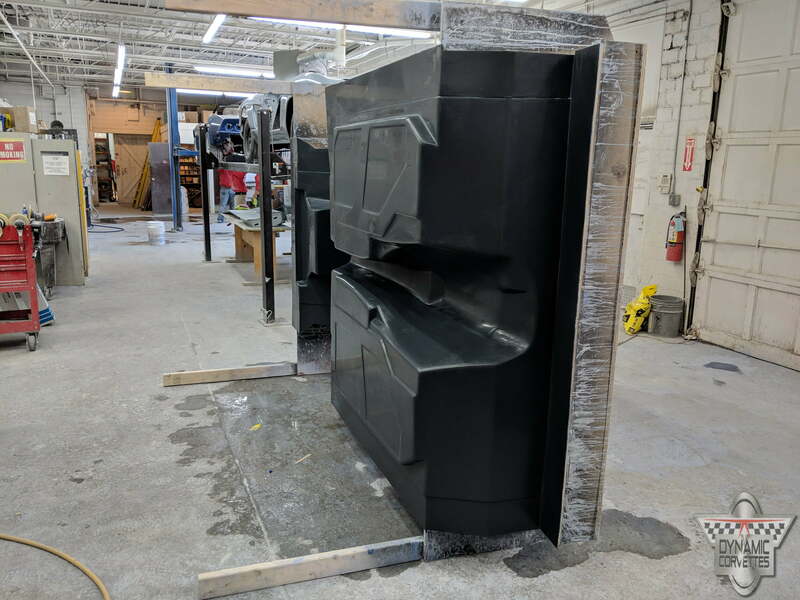 We’re finishing up installing and wiring the Infinity Box and we’re getting closer every day to the return at COBO Hall! 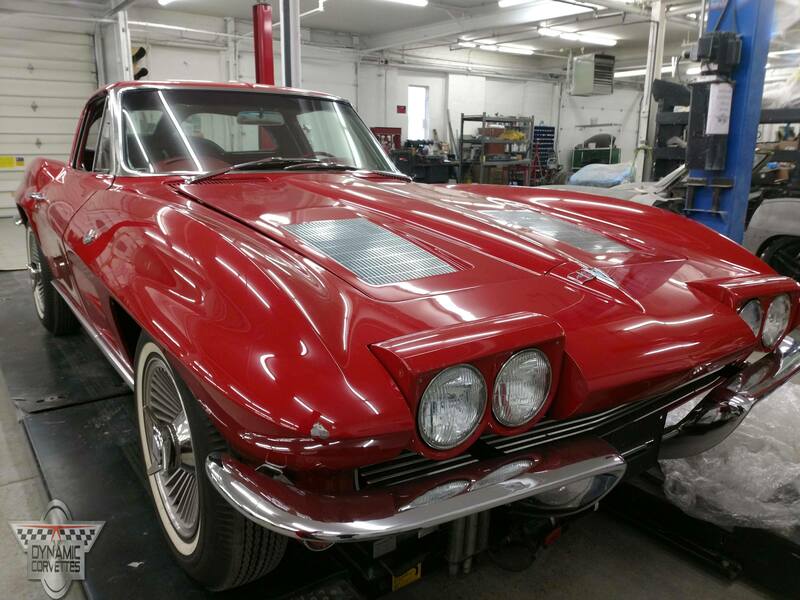 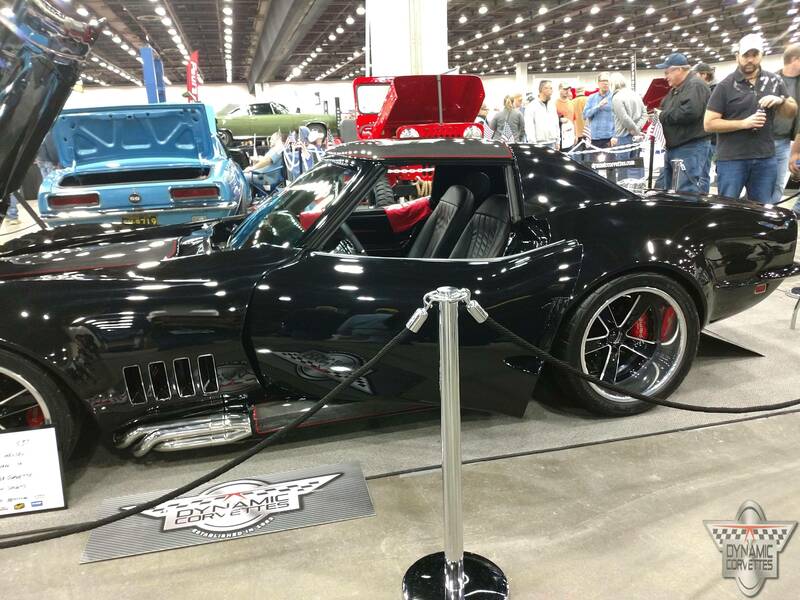 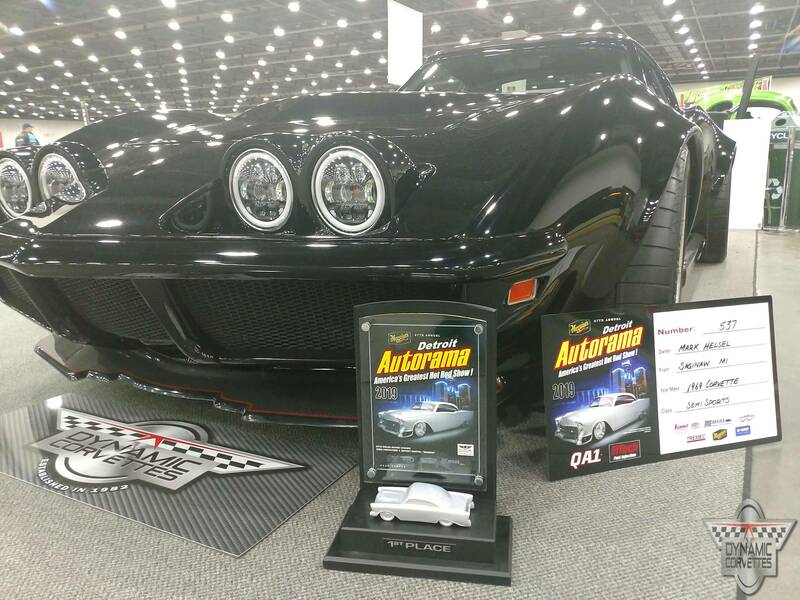 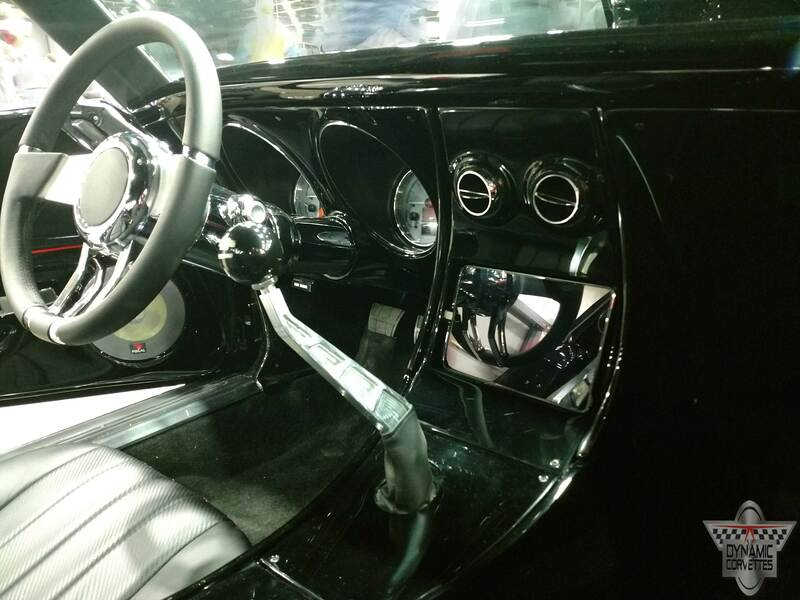 A beautiful 1962 Corvette Sateen Silver! 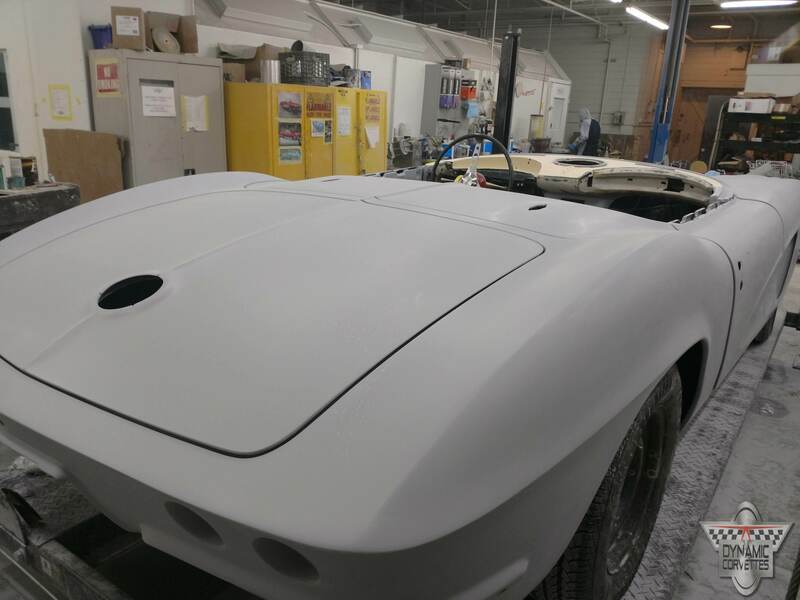 She’s been through the booth and is getting ready for the wet sand and rub stage. 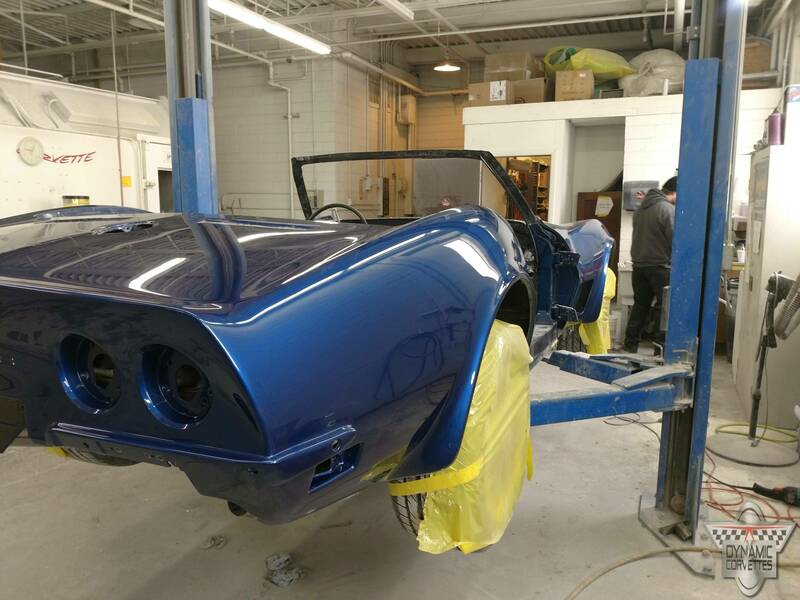 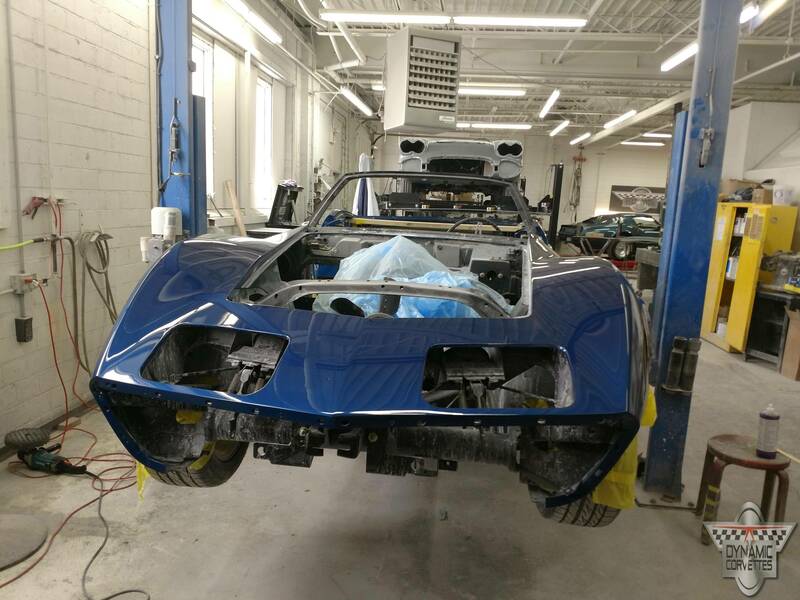 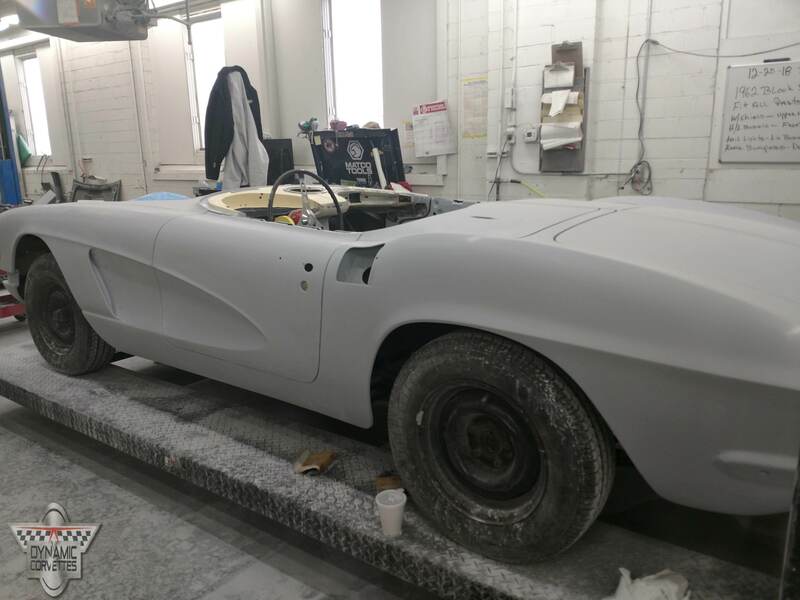 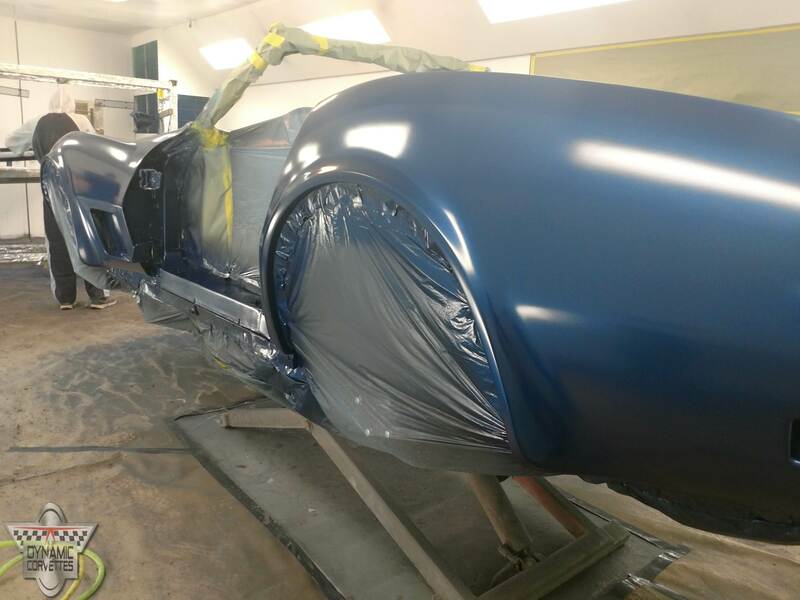 The 73 has a beautiful shade of Medium Blue Paint and is currently in the wet sand and rub stage. 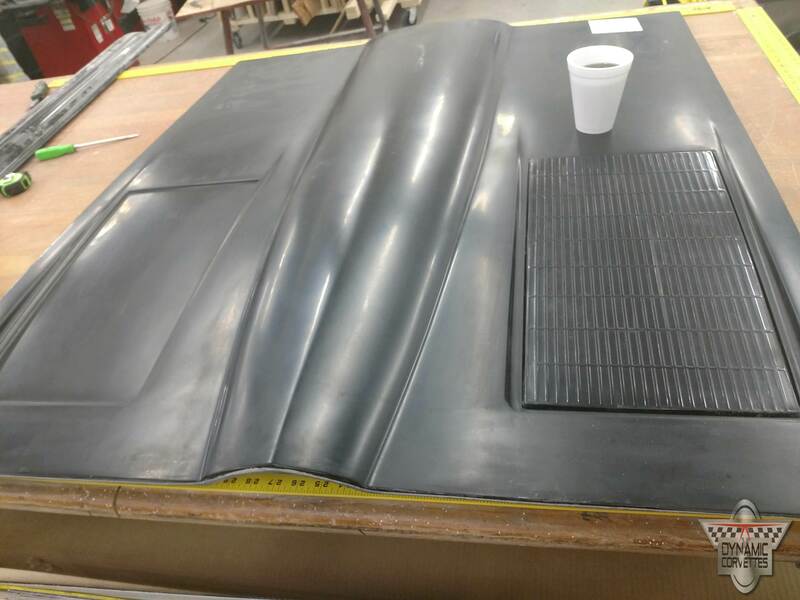 This is the Floor to our 57XL. 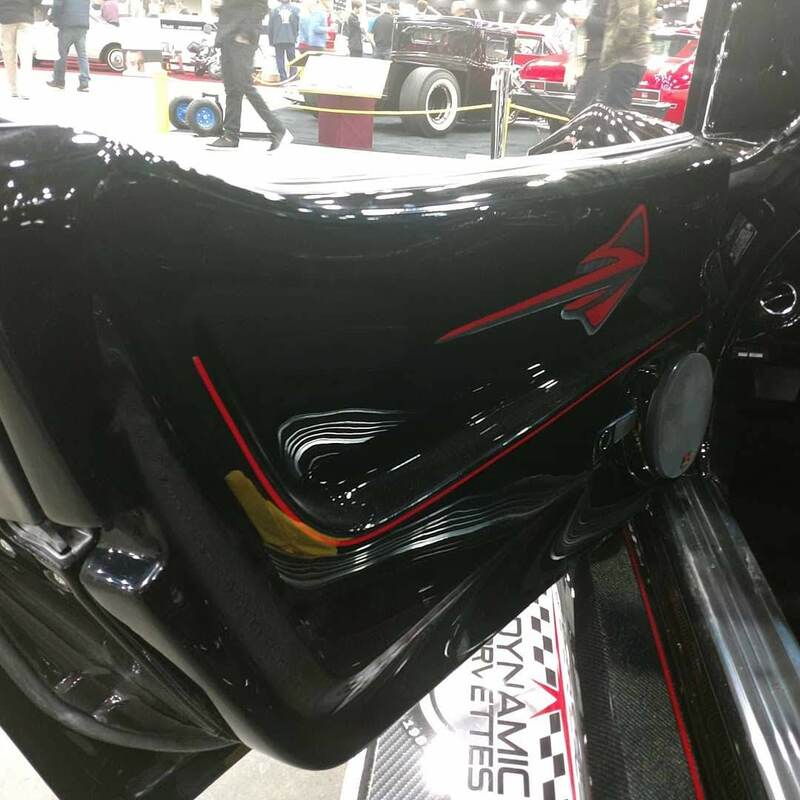 This creative design, with the help of Shadow Rods allows use to lower the seat 4″ and push it back 4″. 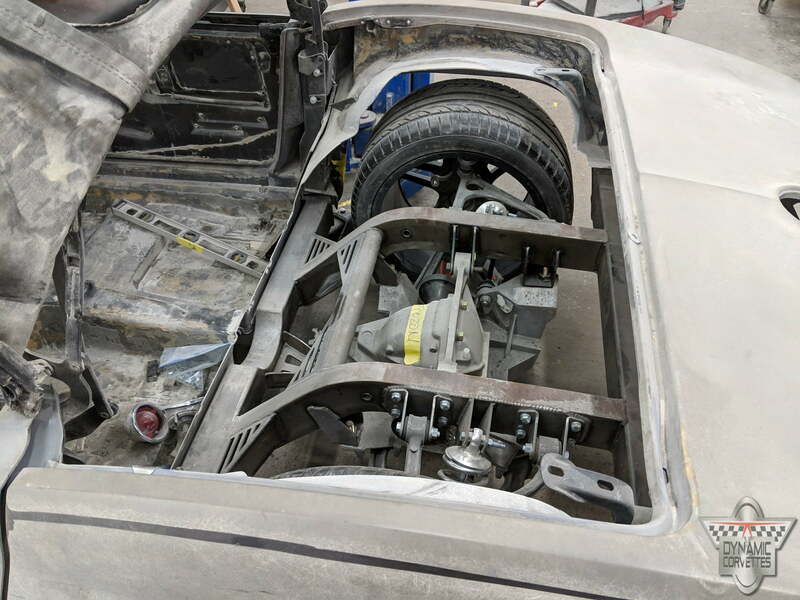 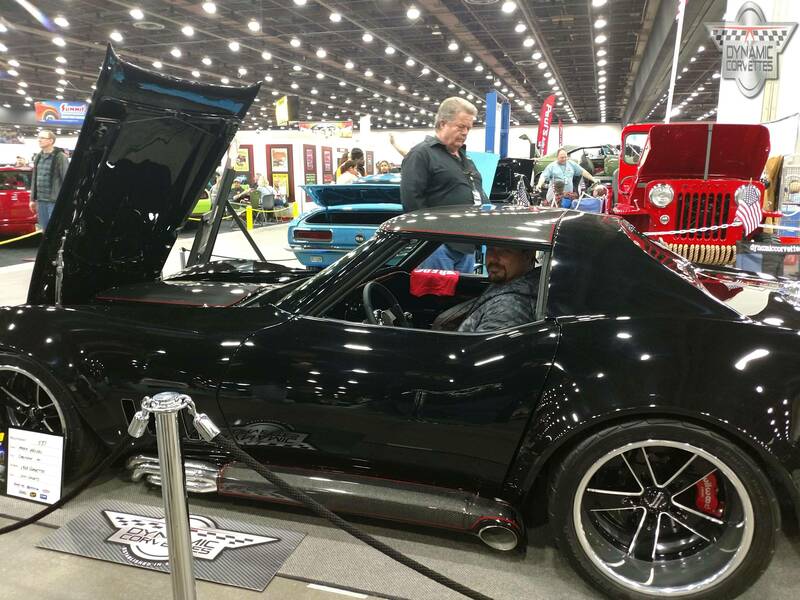 This allows for more interior room for bigger men or women, yet still allowing a 12″ rear tub to be able to run wider tires and a convertible top! 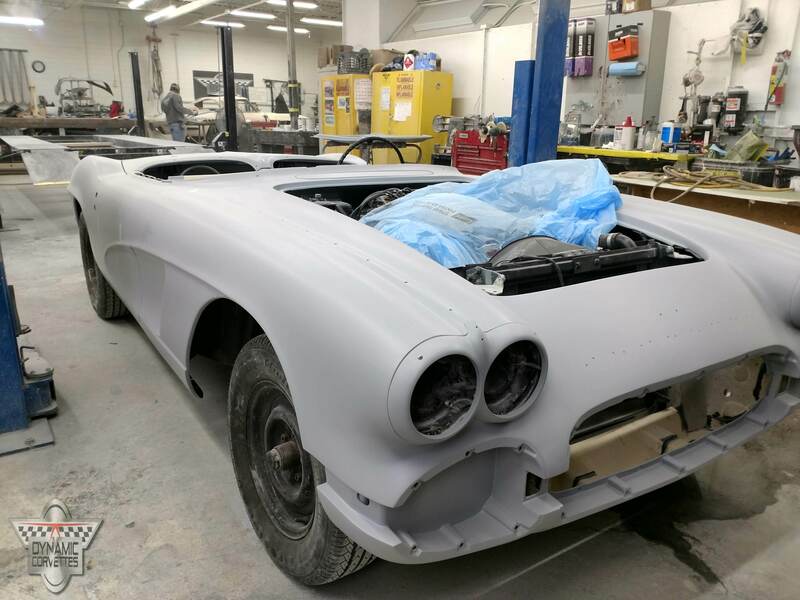 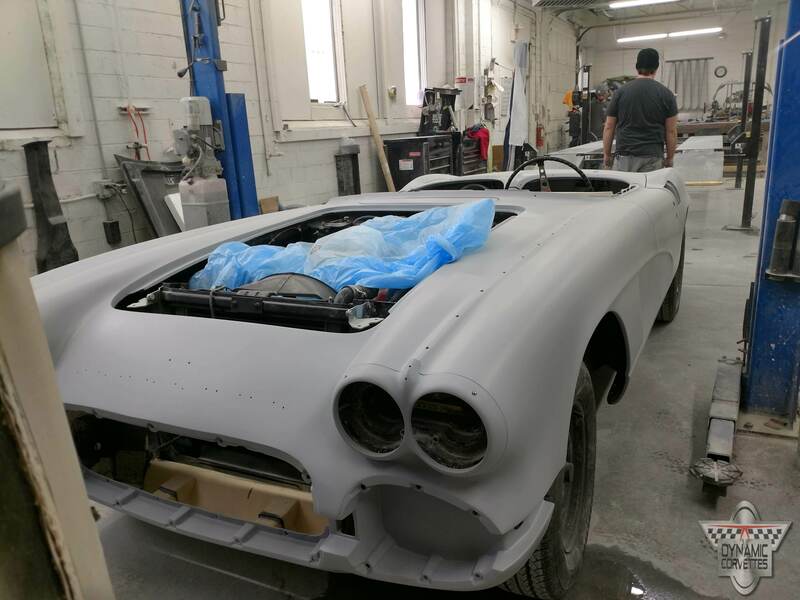 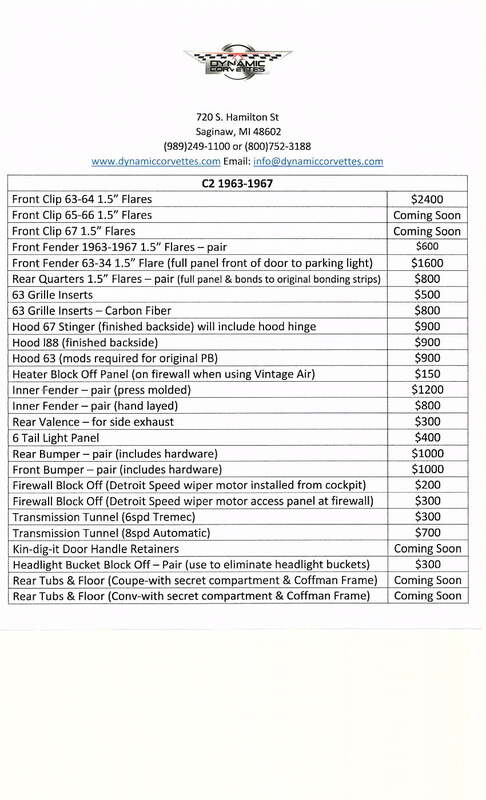 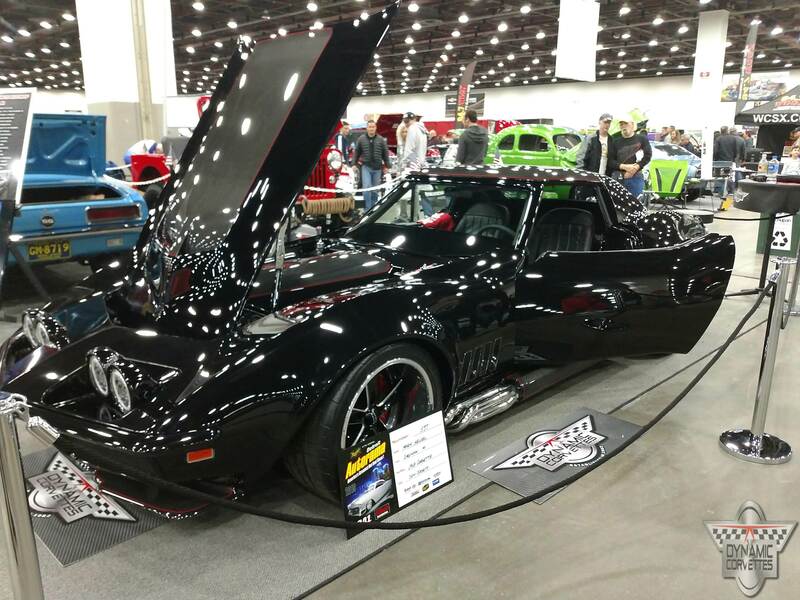 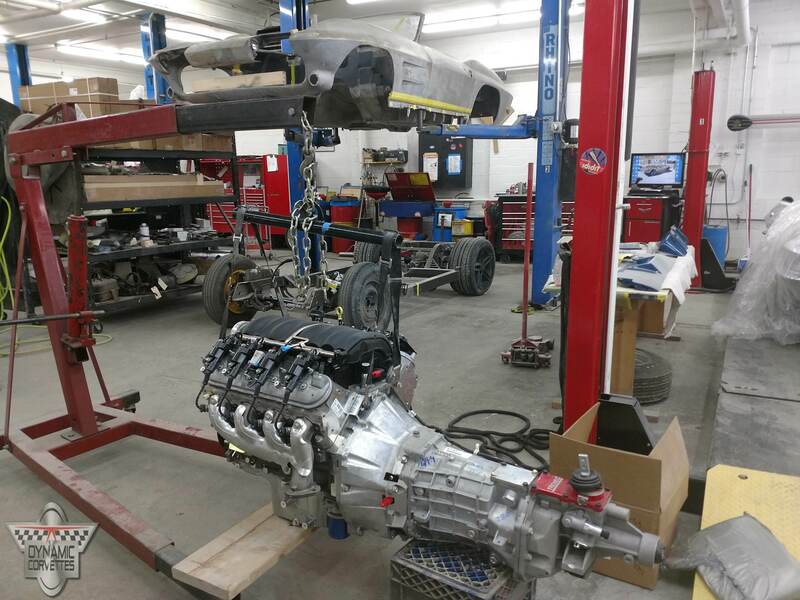 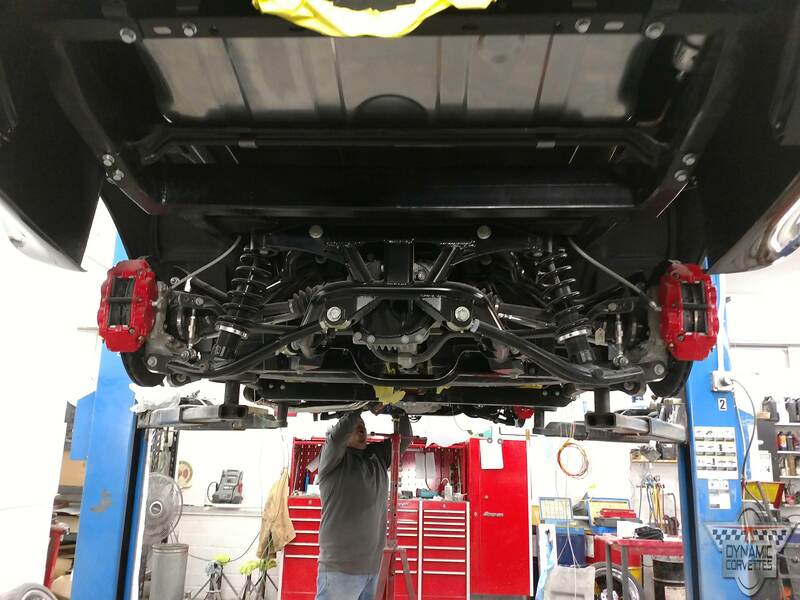 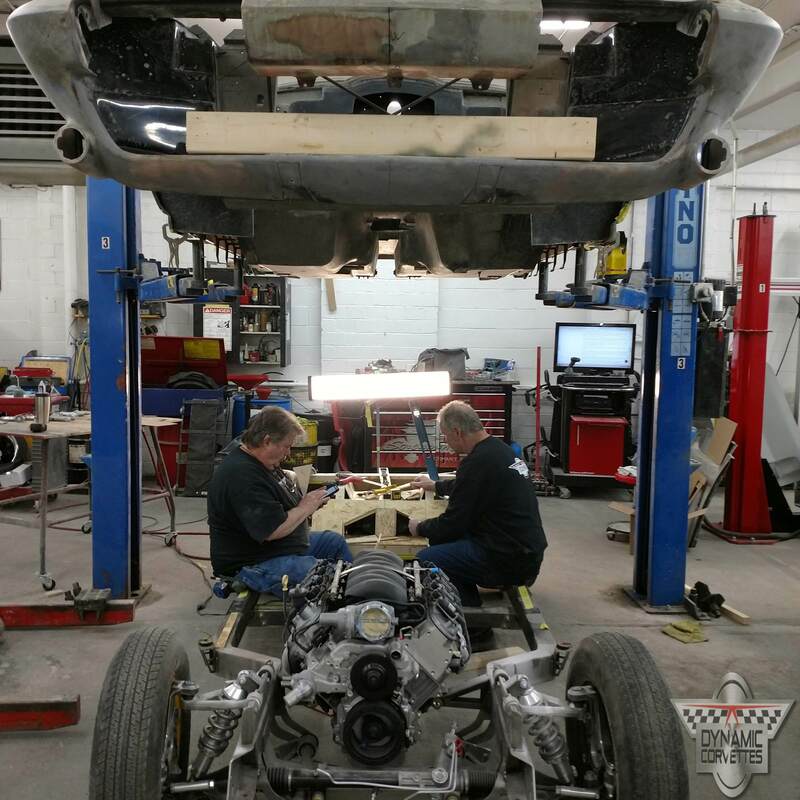 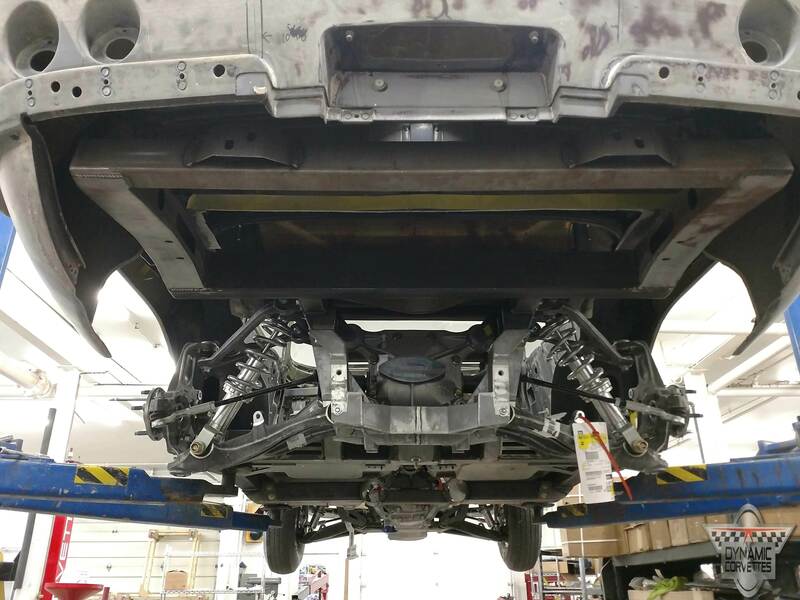 The suspension will be C-7 and the frame custom designed by The Roadster Shop. 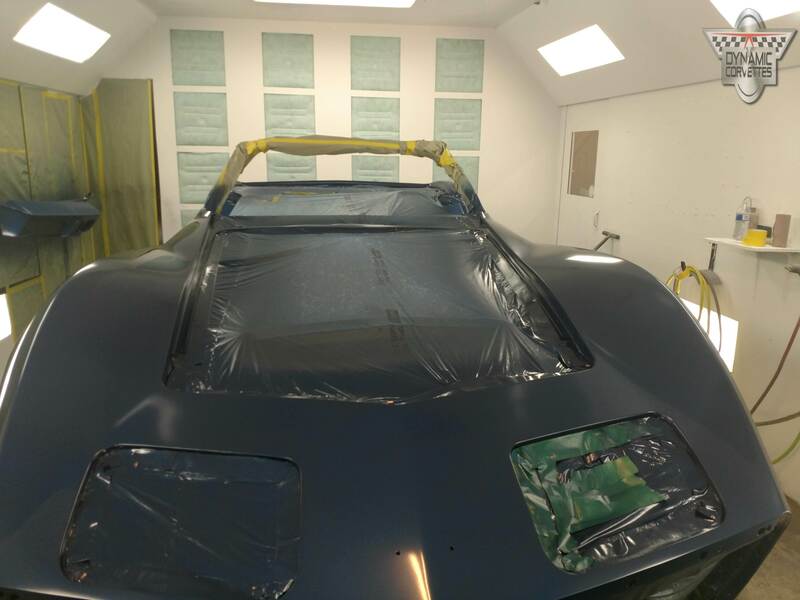 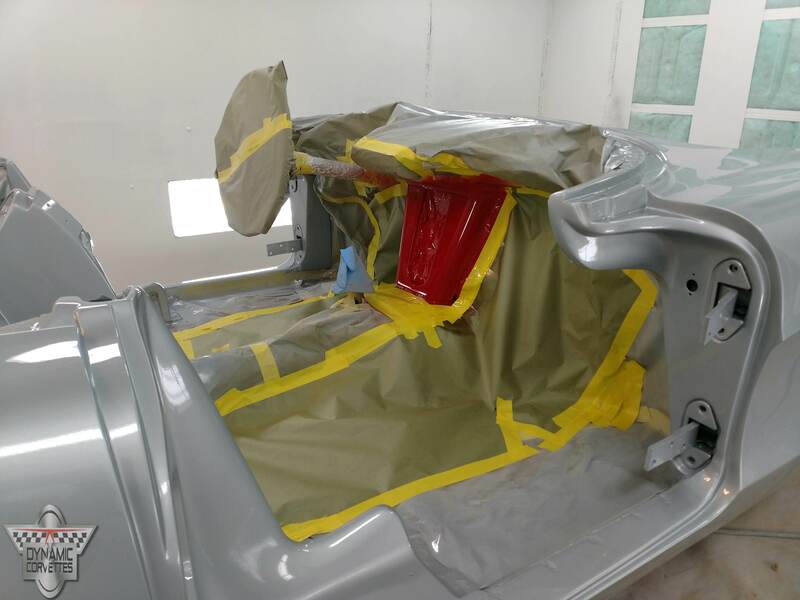 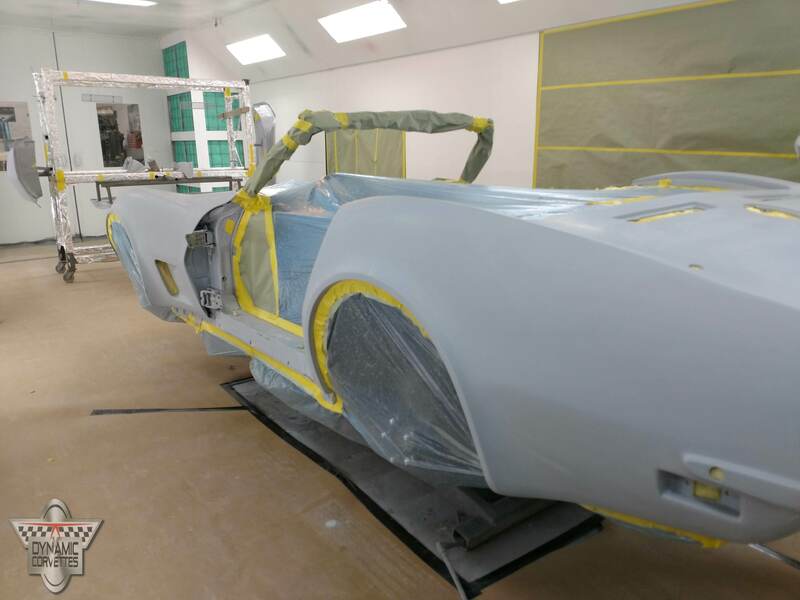 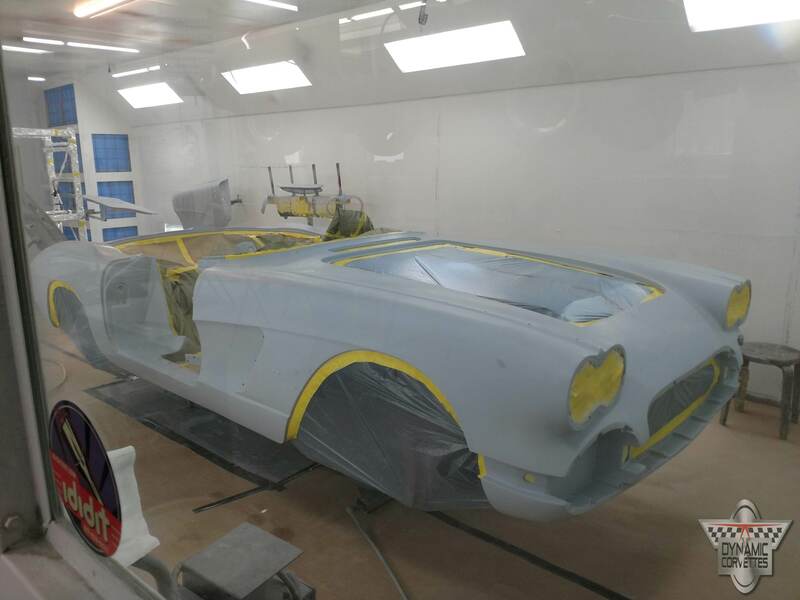 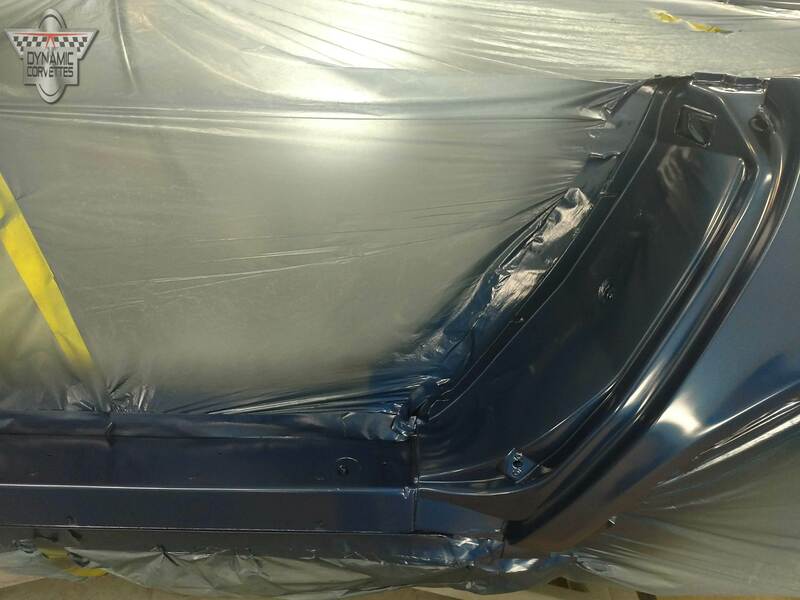 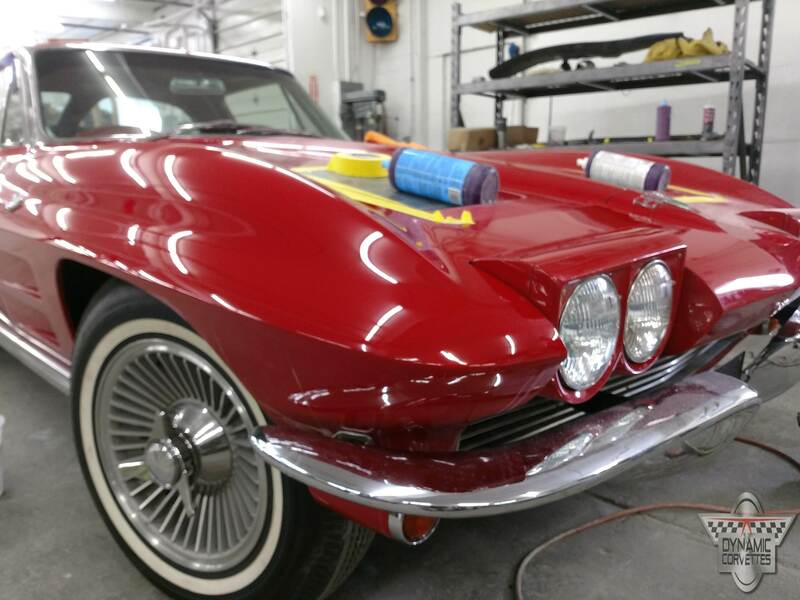 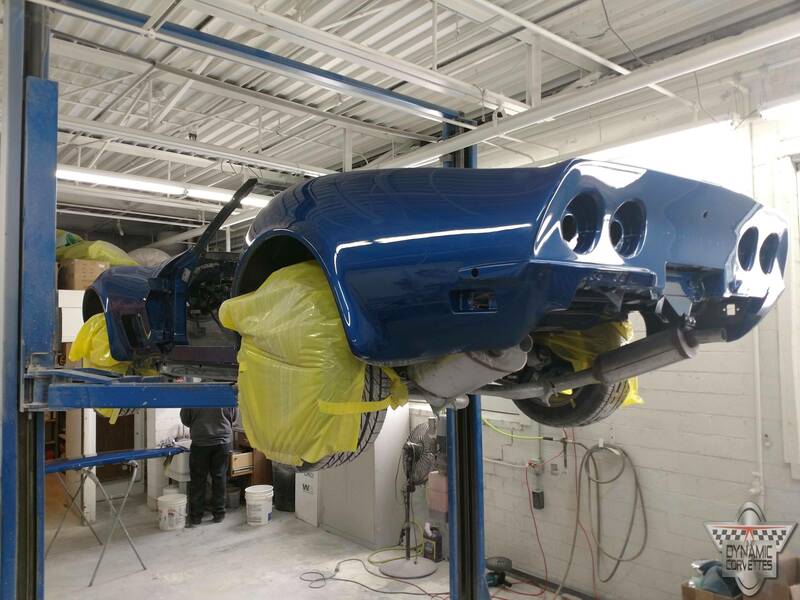 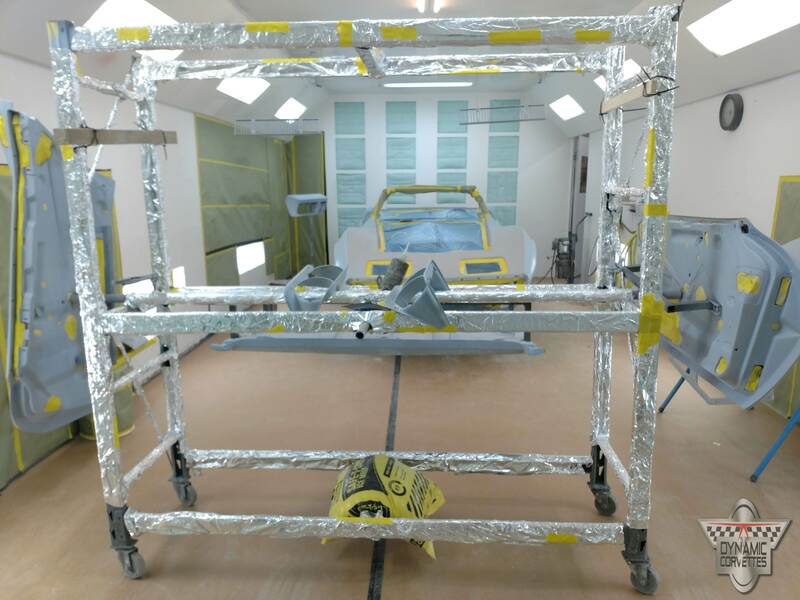 August is back into the paint booth for a coat of OneChoice SX103 Multi prep clear By PPG. 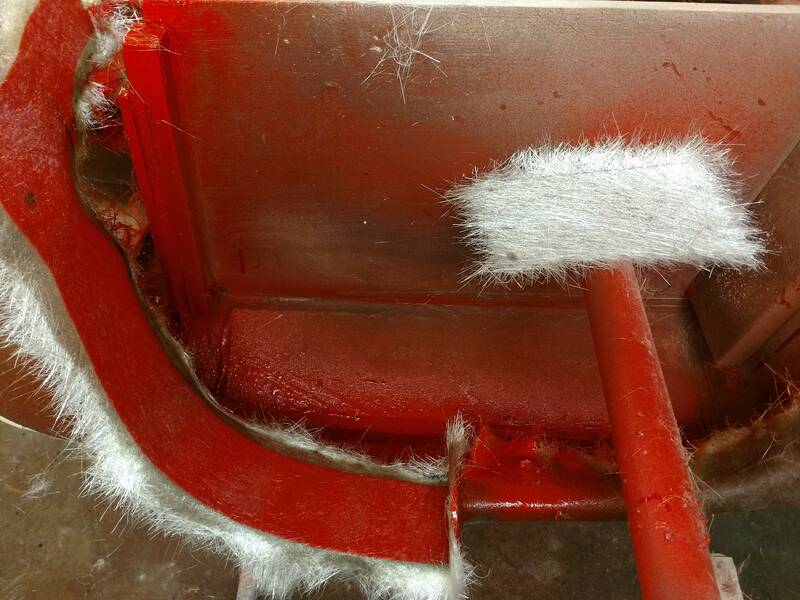 We are using this as a Anti-Static agent. 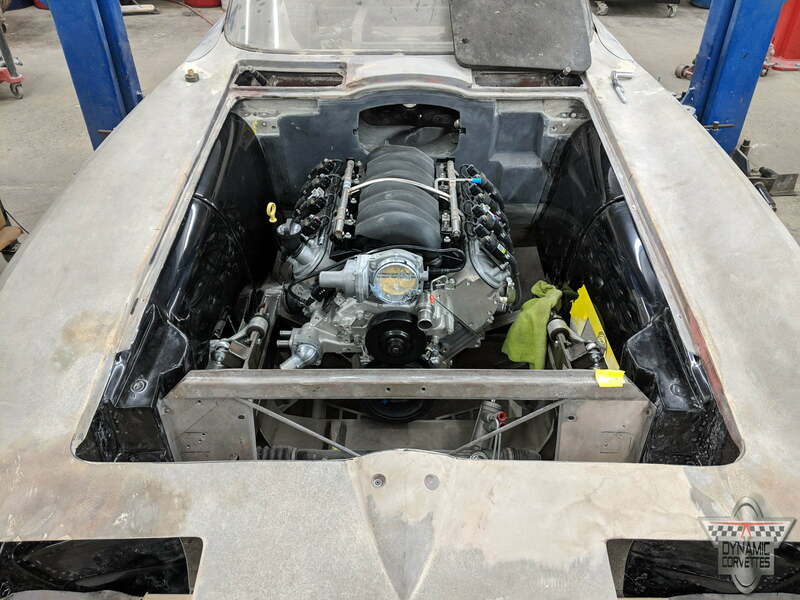 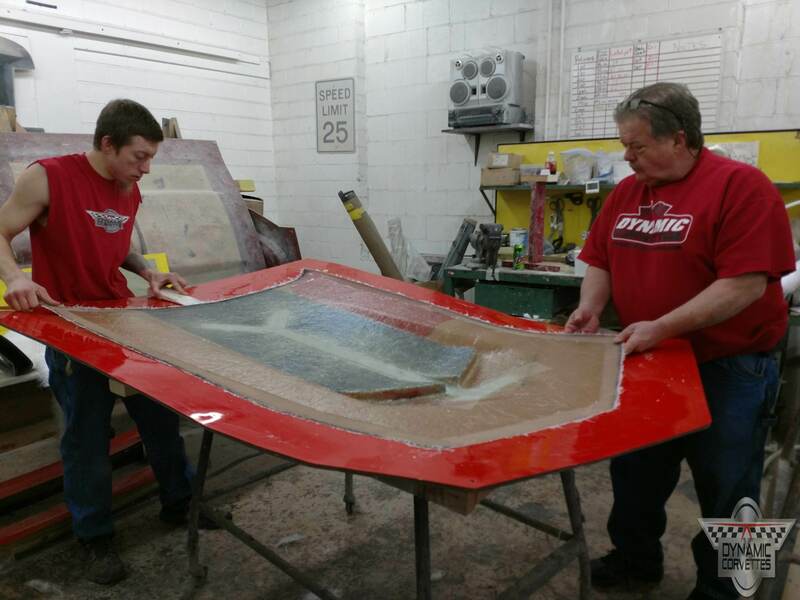 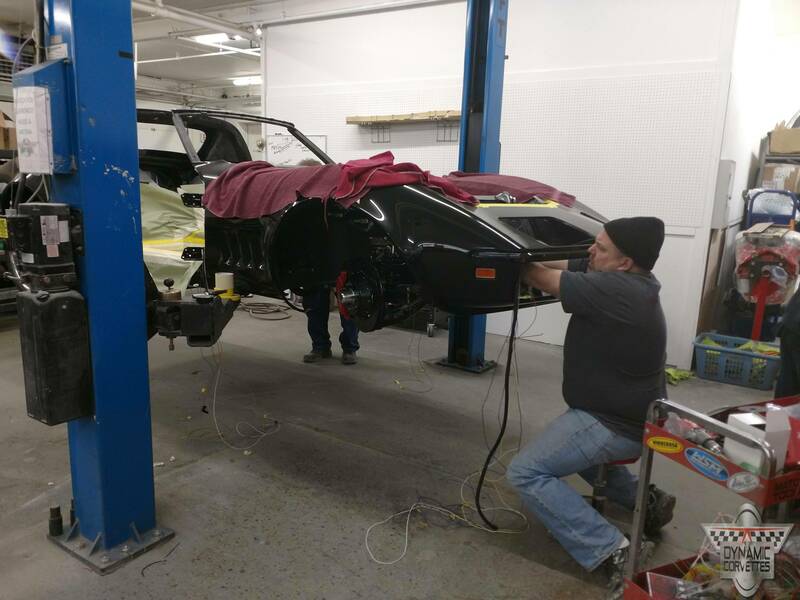 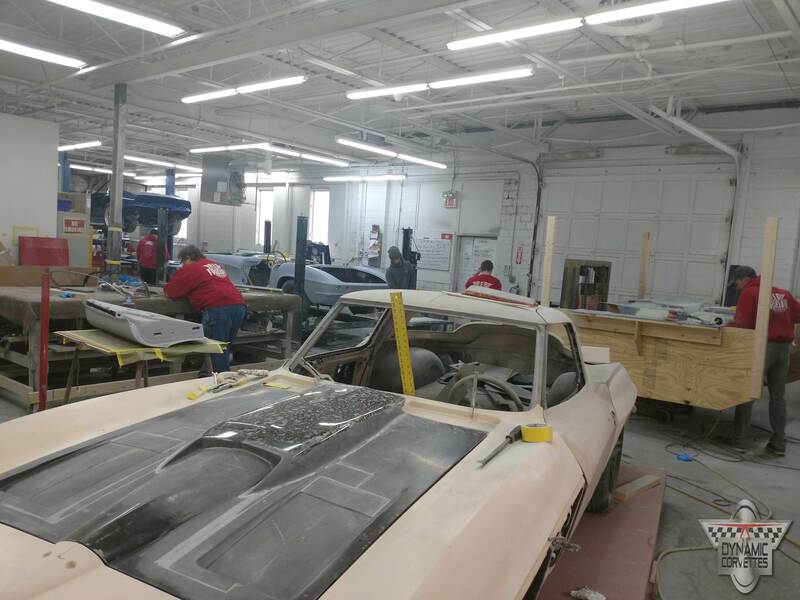 We’re designing a new hood for the 63 to accommodate the LT4 engine. 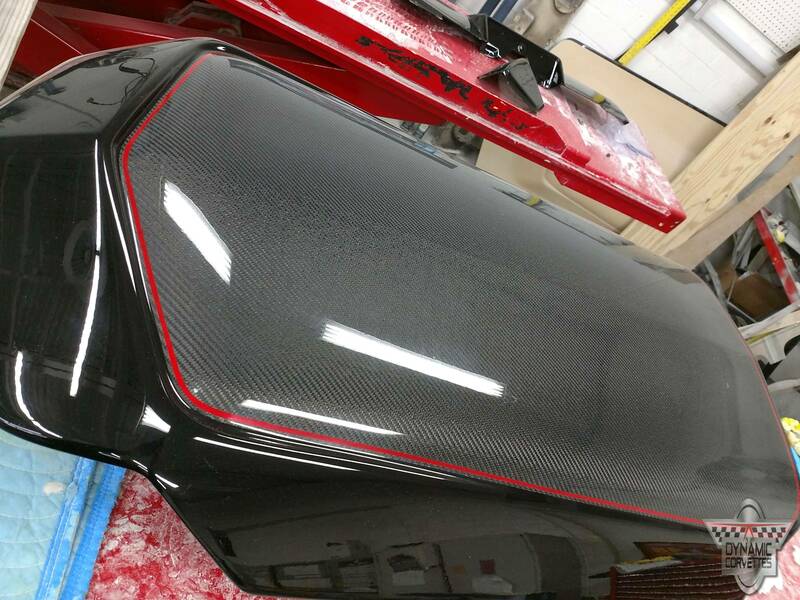 The grill inserts are our newest product release and are available in CARBON FIBER too! 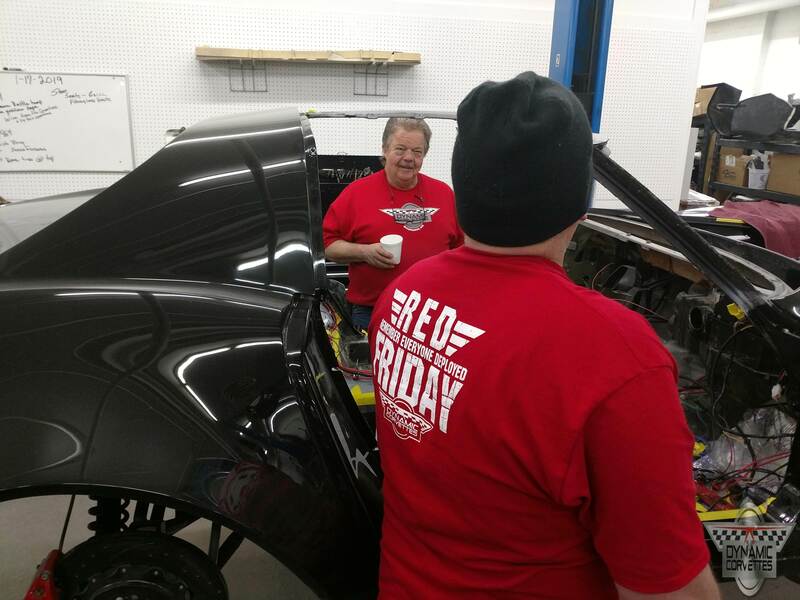 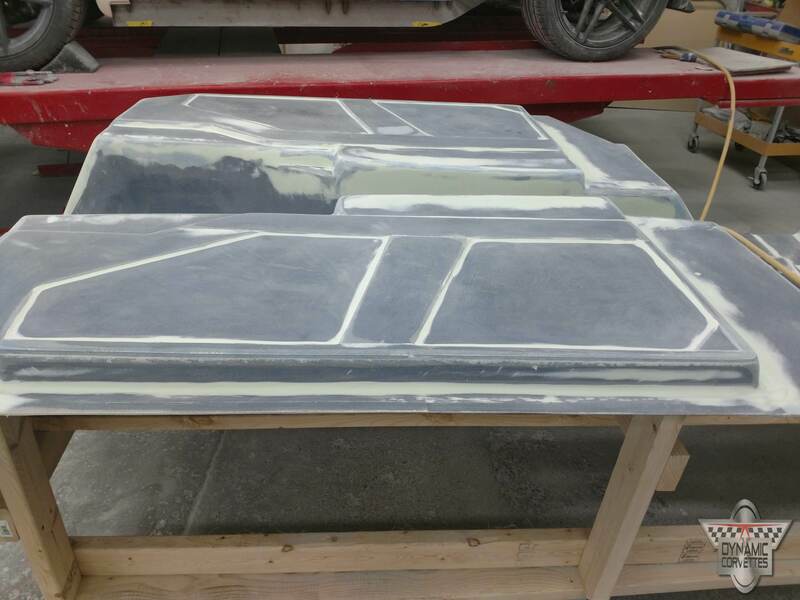 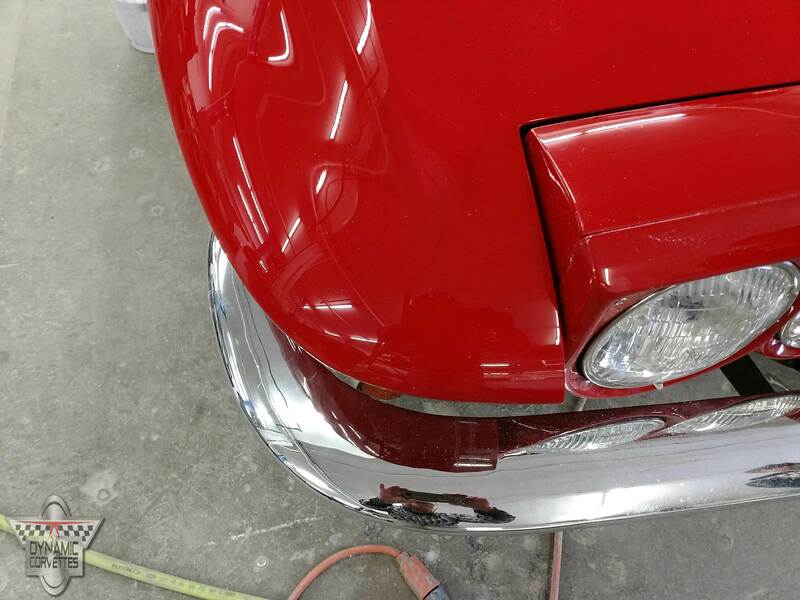 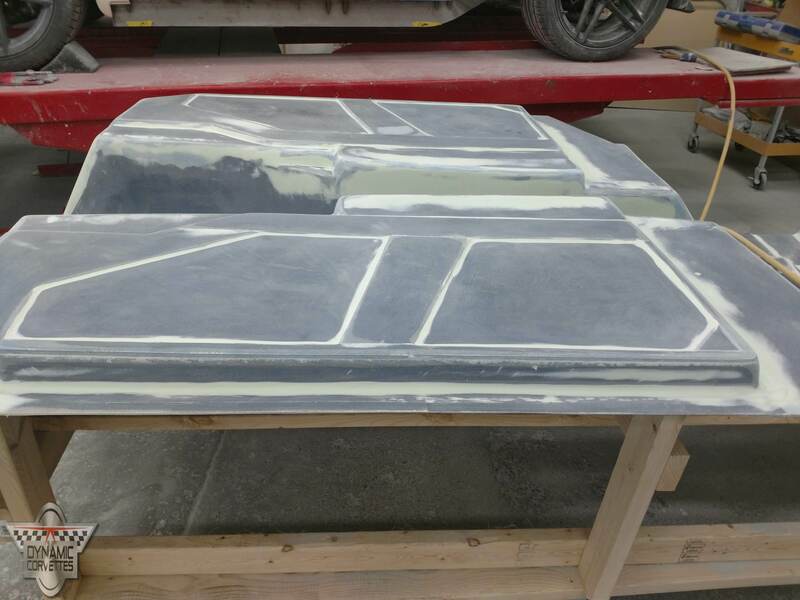 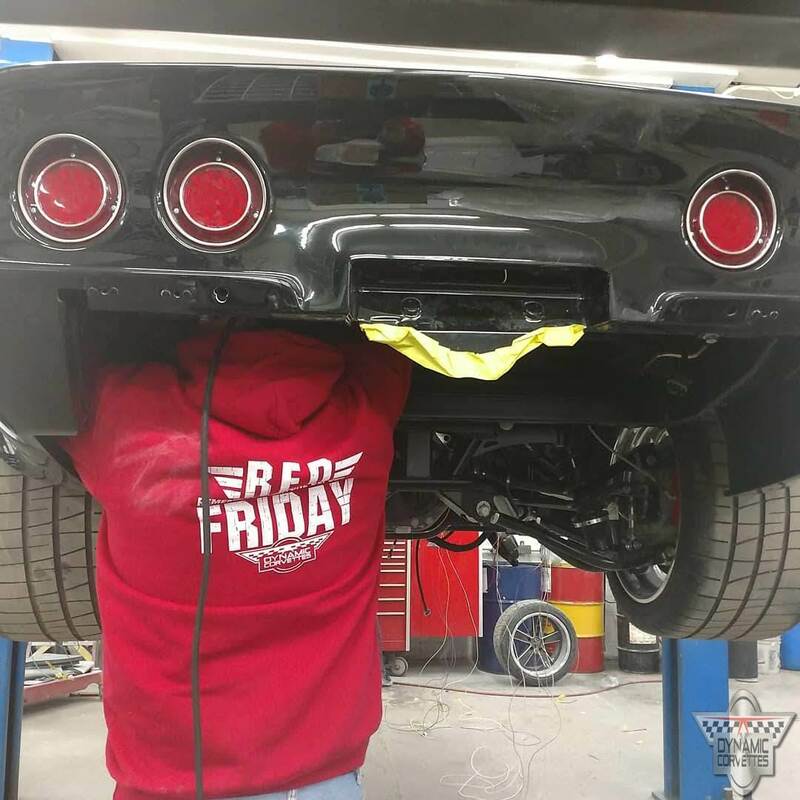 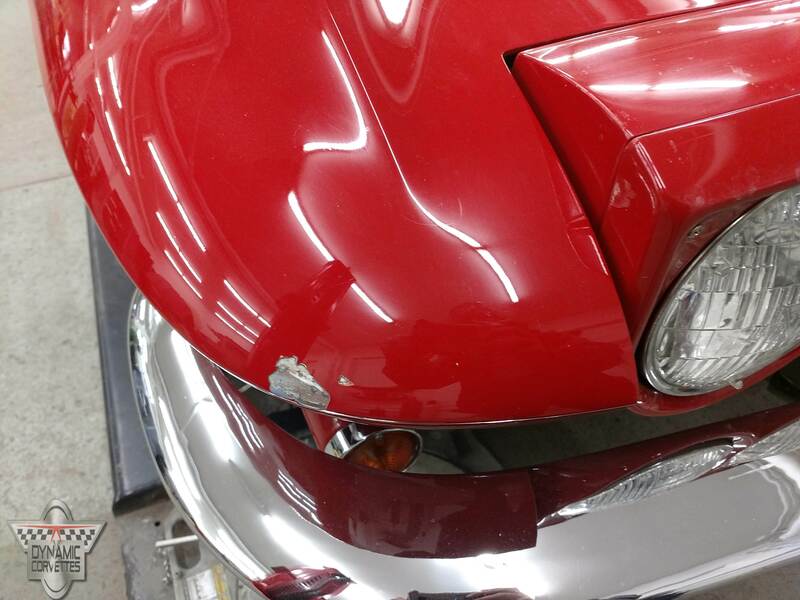 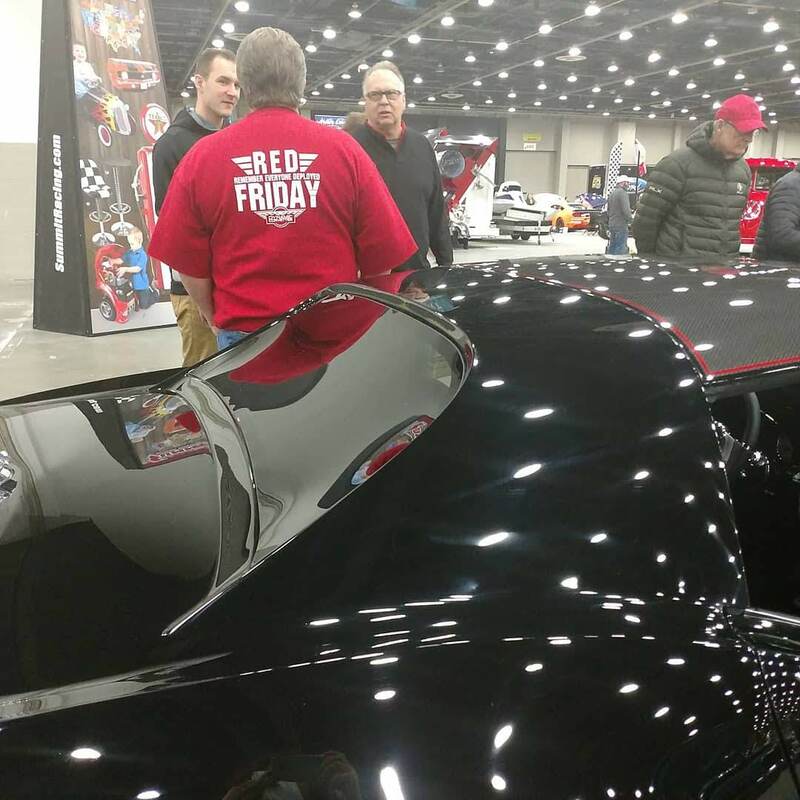 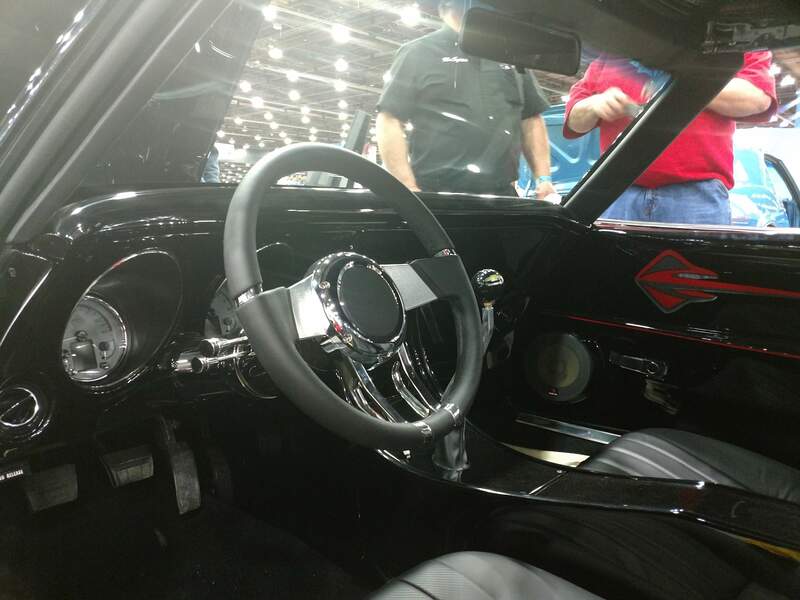 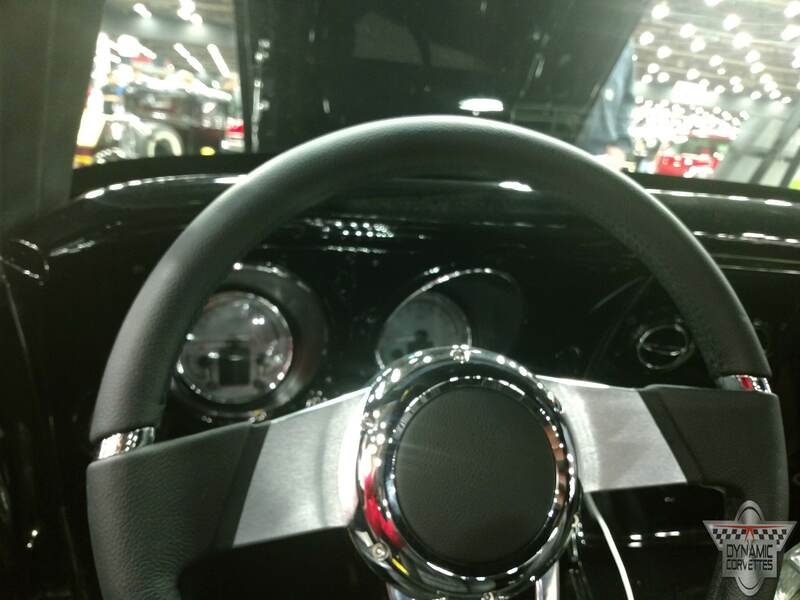 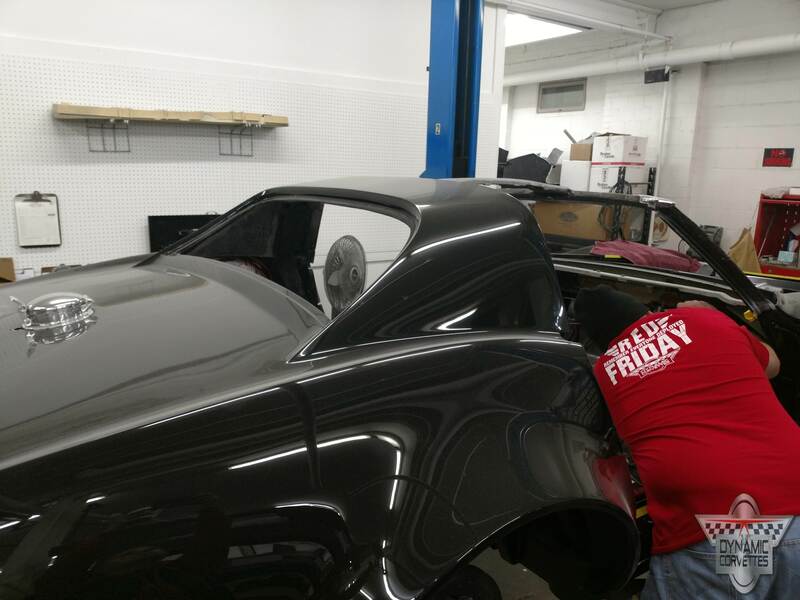 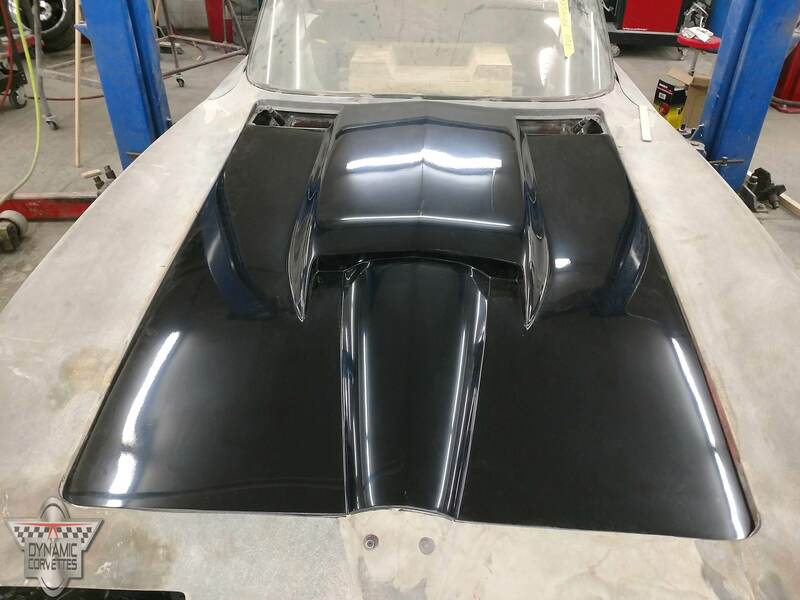 They will fit our custom 63 hood as well as an original 63 hood. 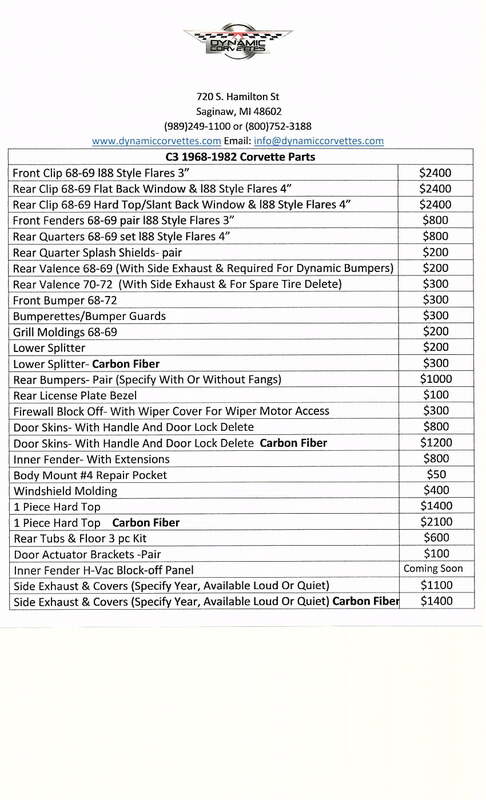 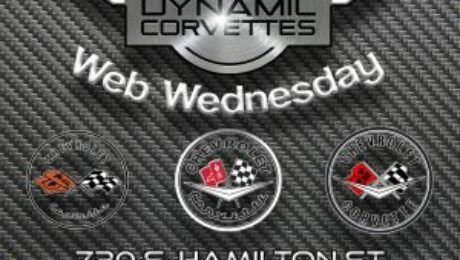 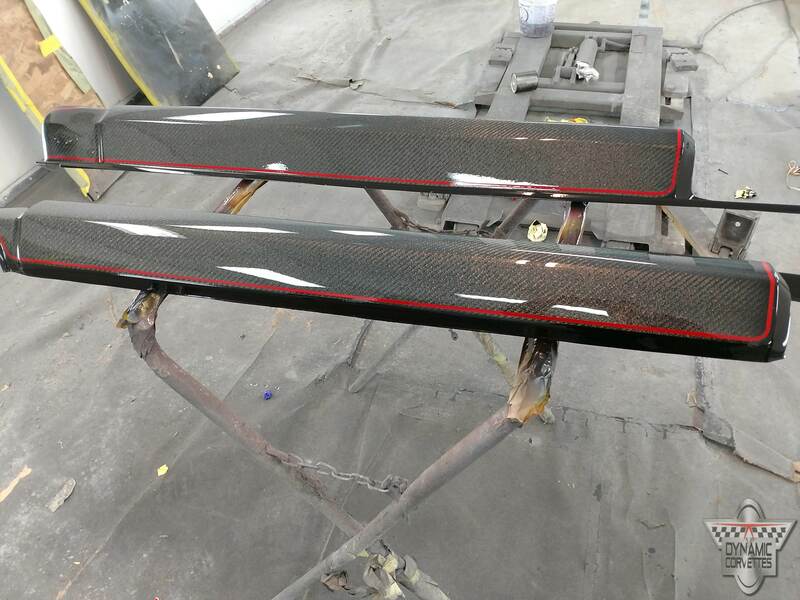 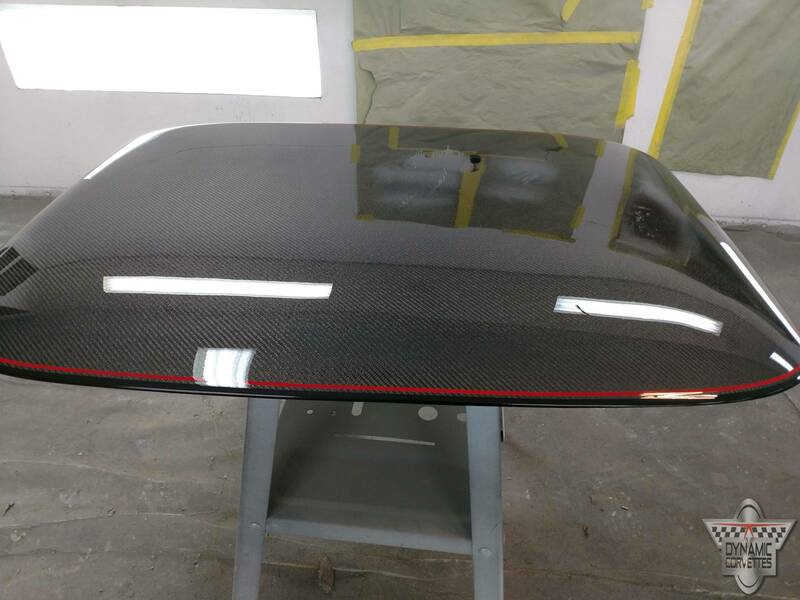 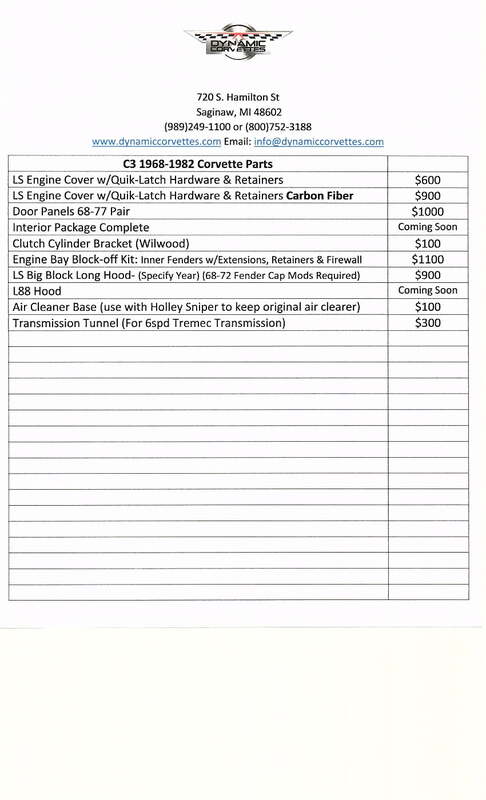 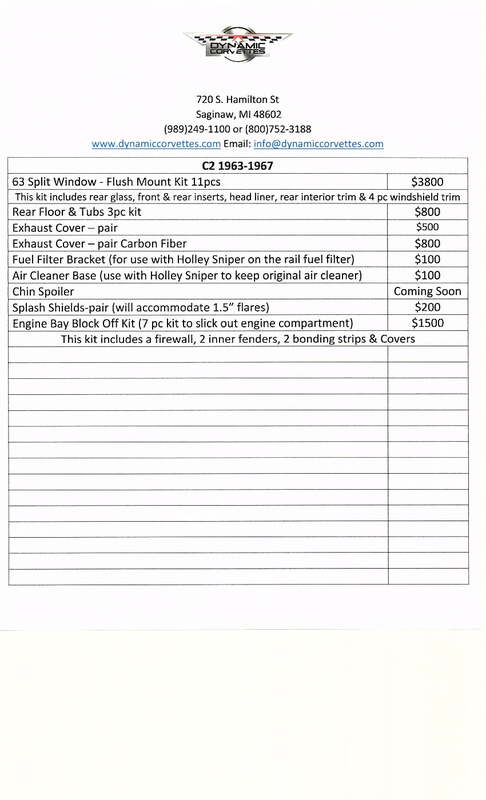 The cost of the inserts are $500 and $800 in Carbon Fiber. 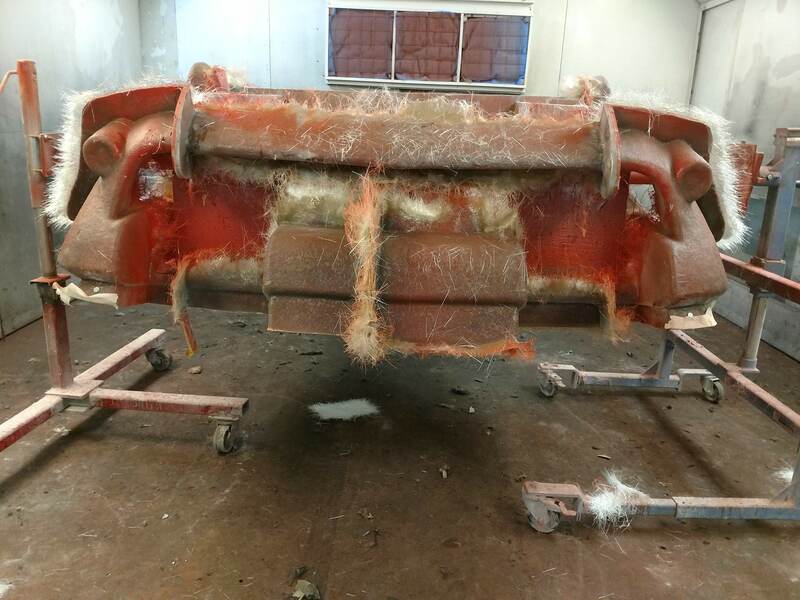 “Warren” is a little restoration we’ve been working on. 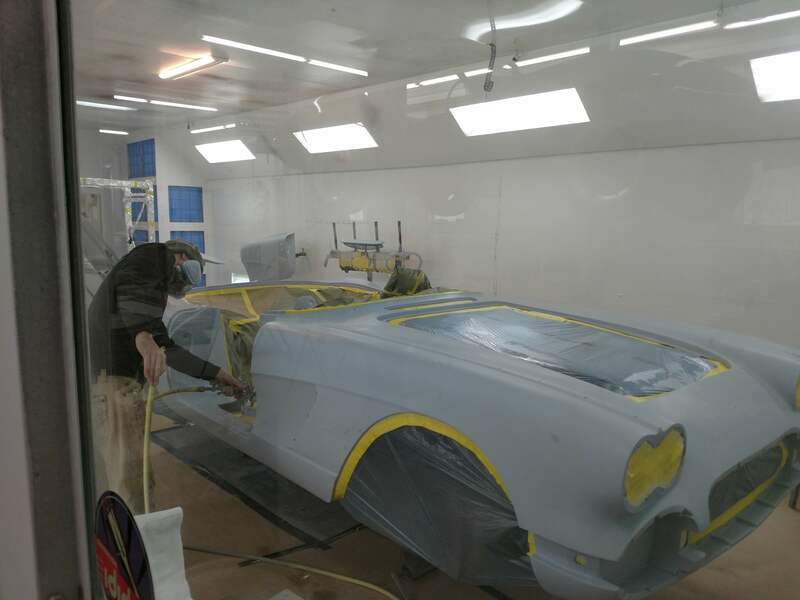 We spend 3 days in the booth with every paint job. 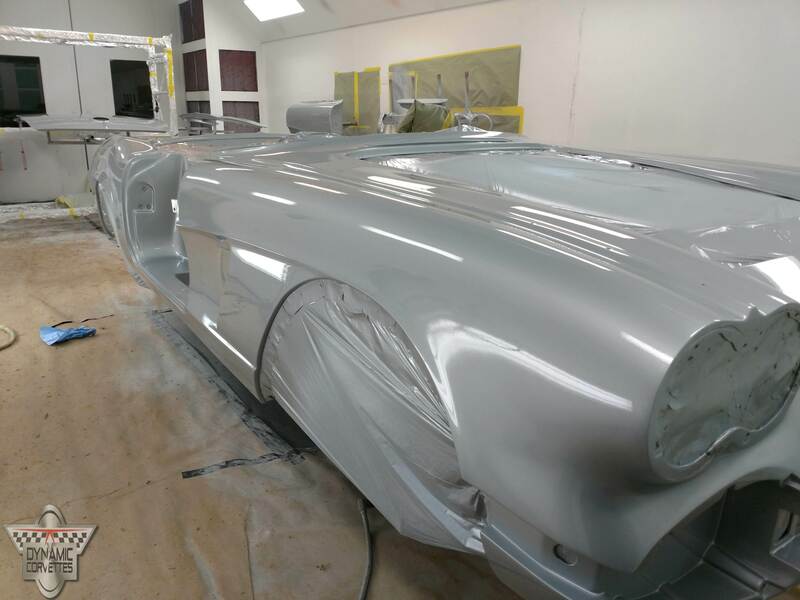 Day 1 is sealer, Day 2 is 3 coats of base and Day 3 is 3 coats of clear. 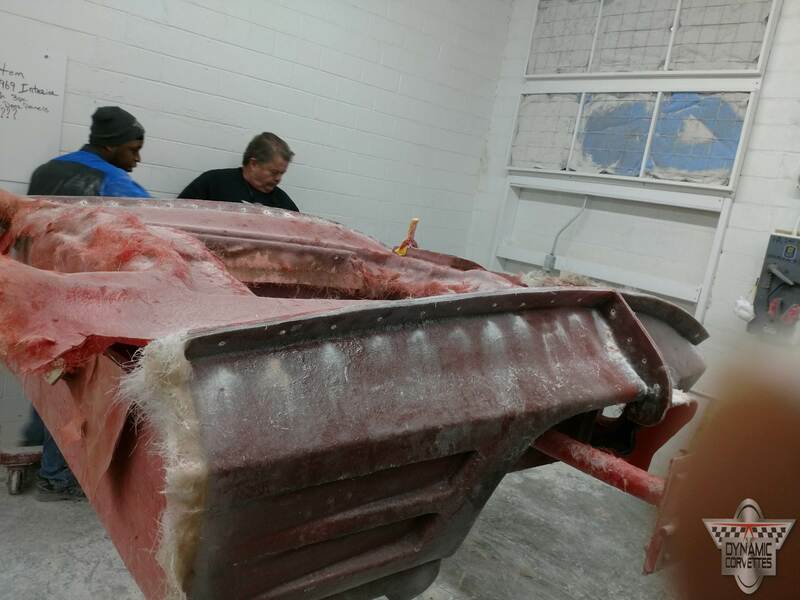 Little “August” has had 2 rounds of slick sand and we’re just finishing up the wet sanding. 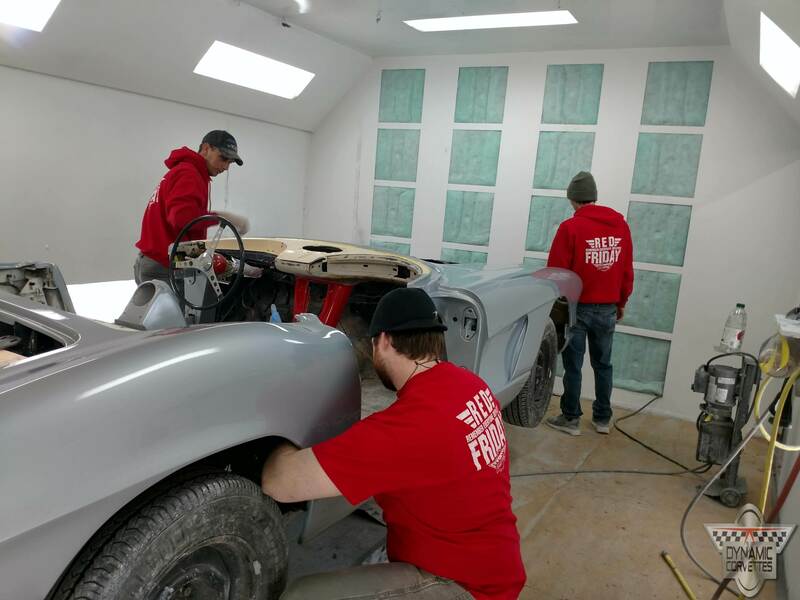 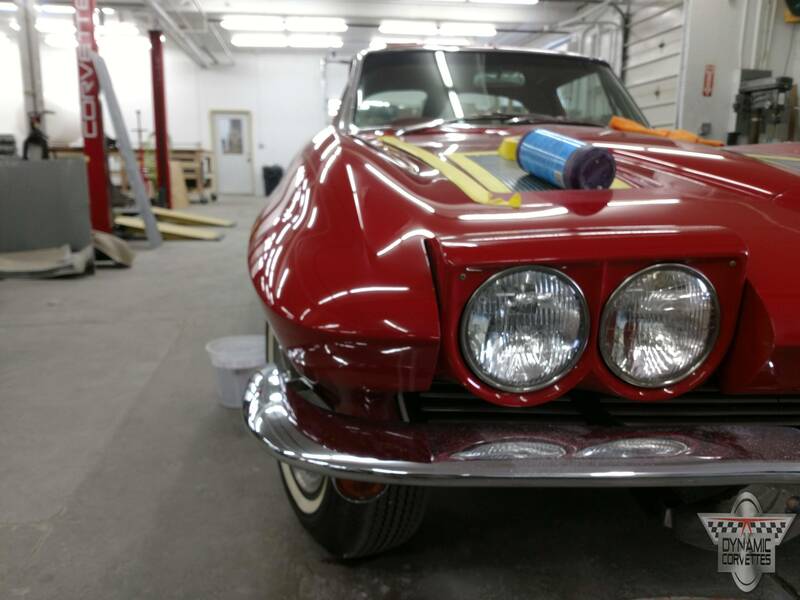 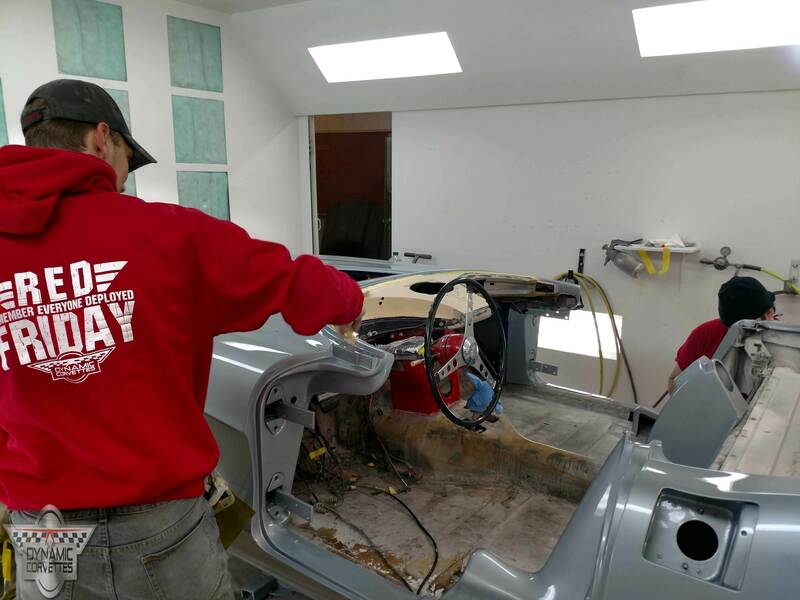 At every stage we sand the jams and reinstall the doors with the weatherstrips, and we refit the headlight bezels, and all the chrome trim to ensure everything is perfectly fitted at the end. 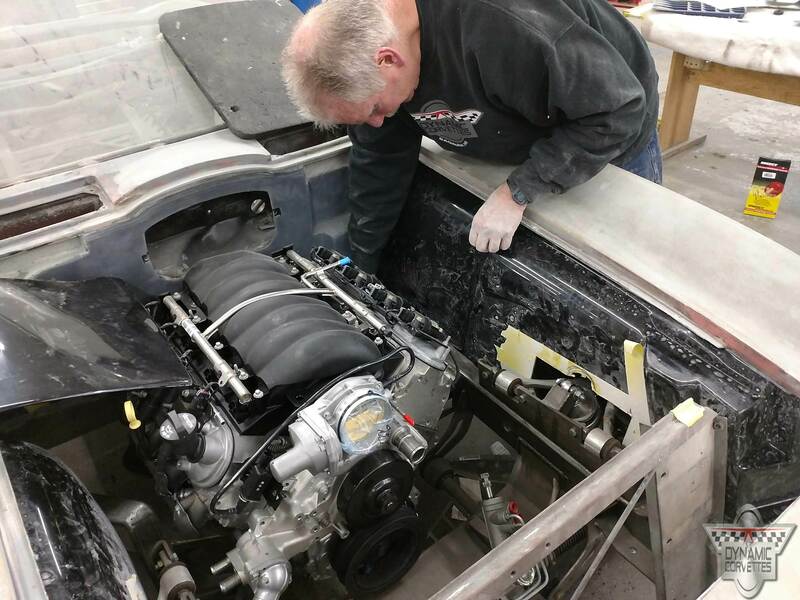 The 57Xl has had a floor re-design to accommodate a different chassis . 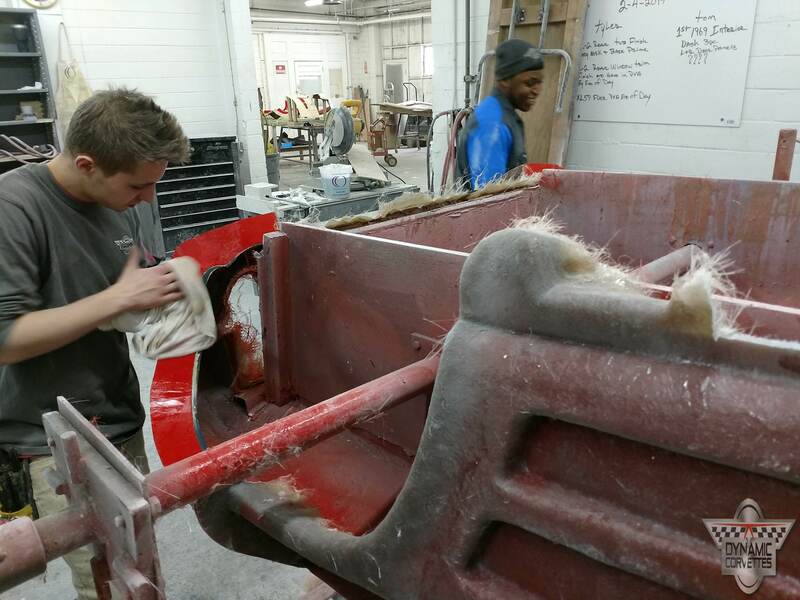 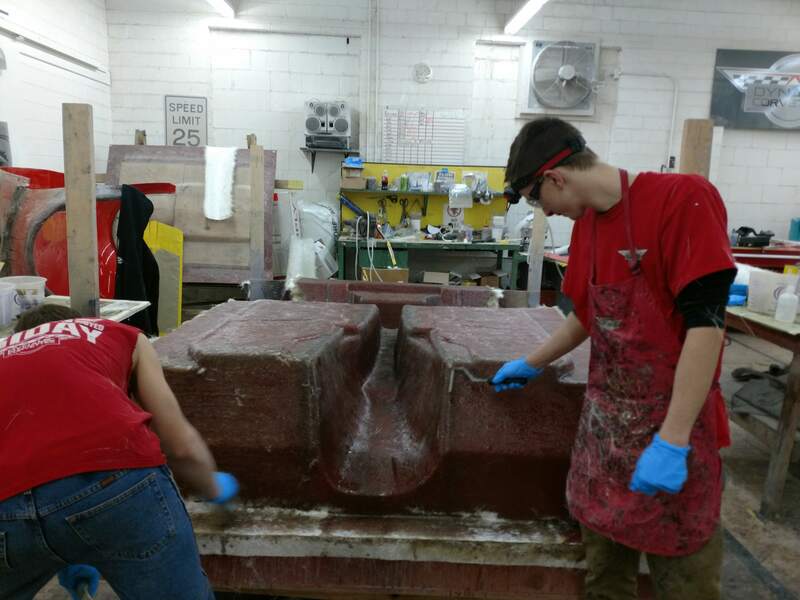 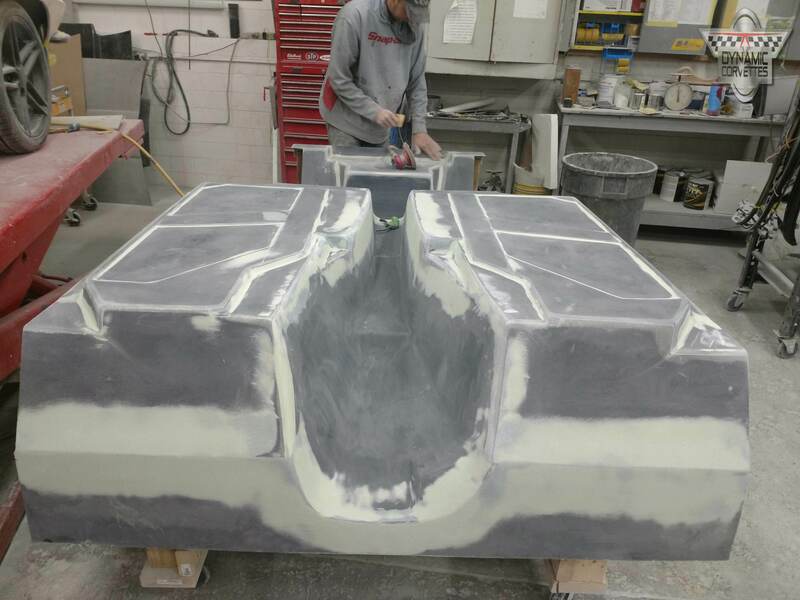 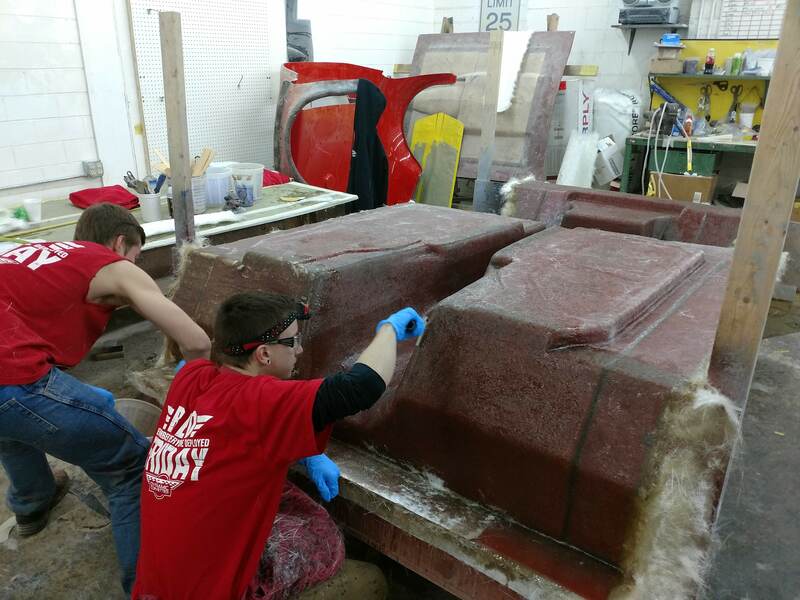 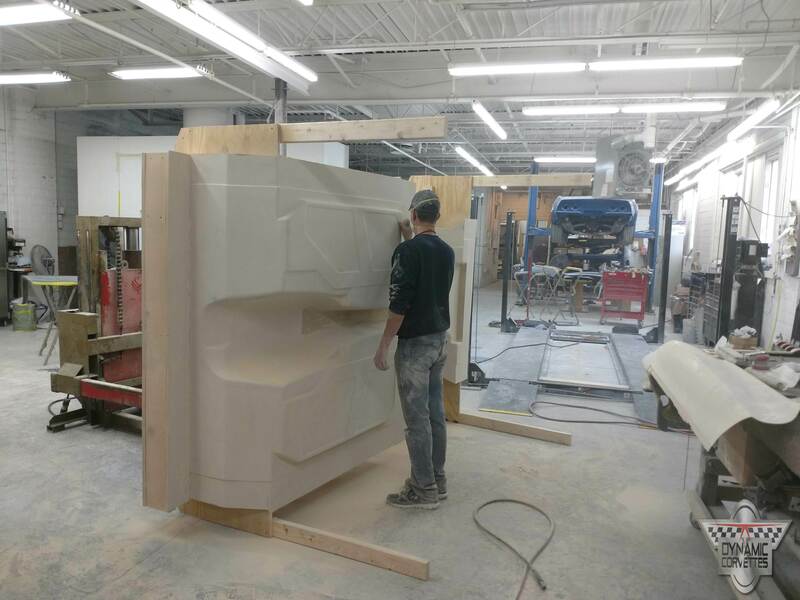 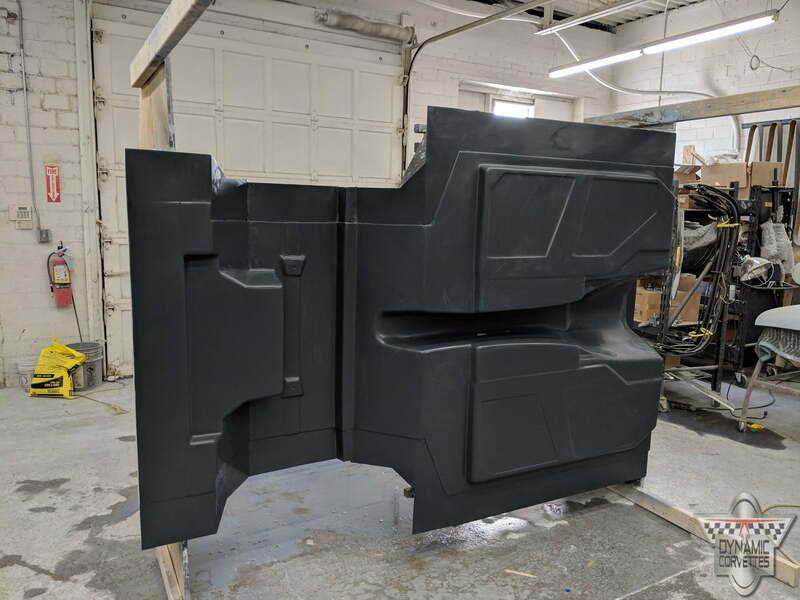 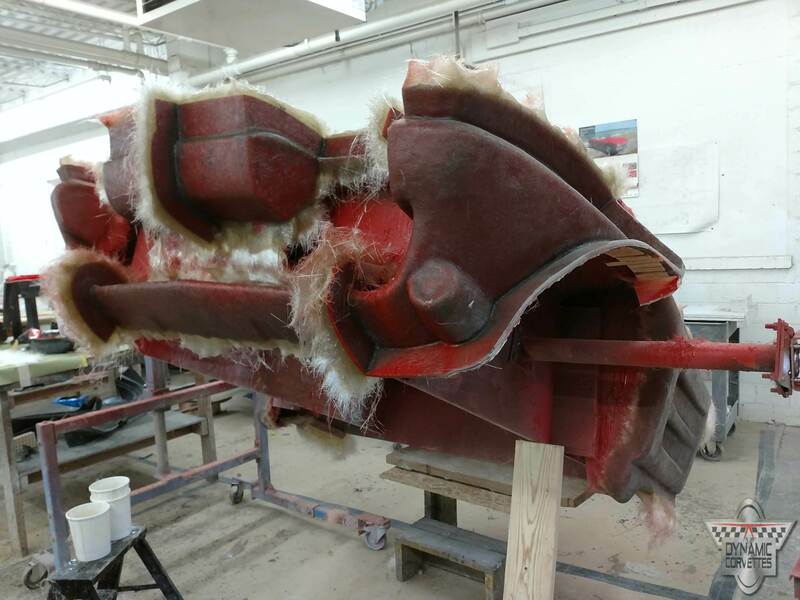 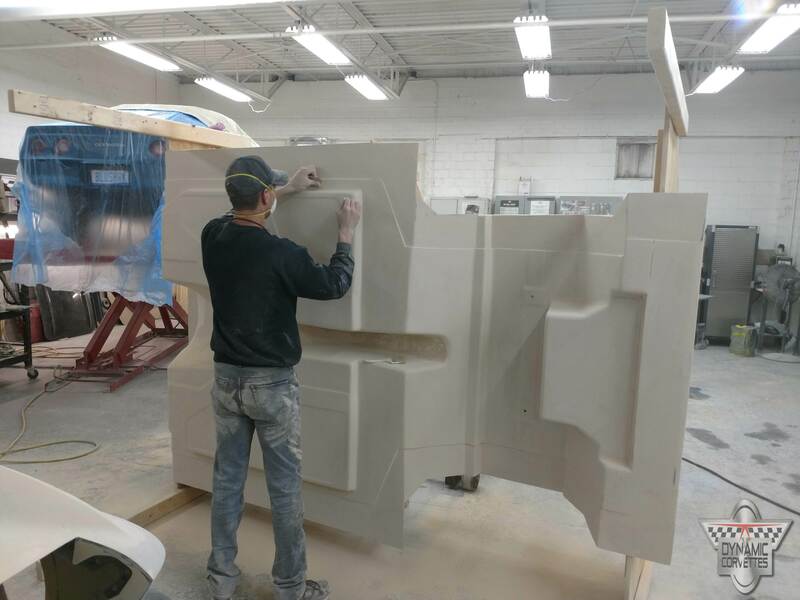 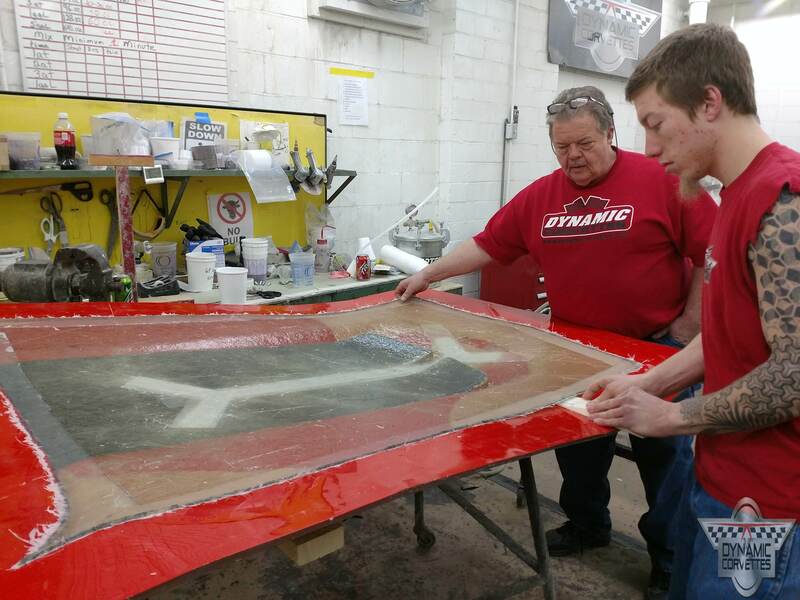 Once it’s perfect we will spray Duratex and start making the mold.